Maps. They get us where we’re going, and they reference were we’ve been. 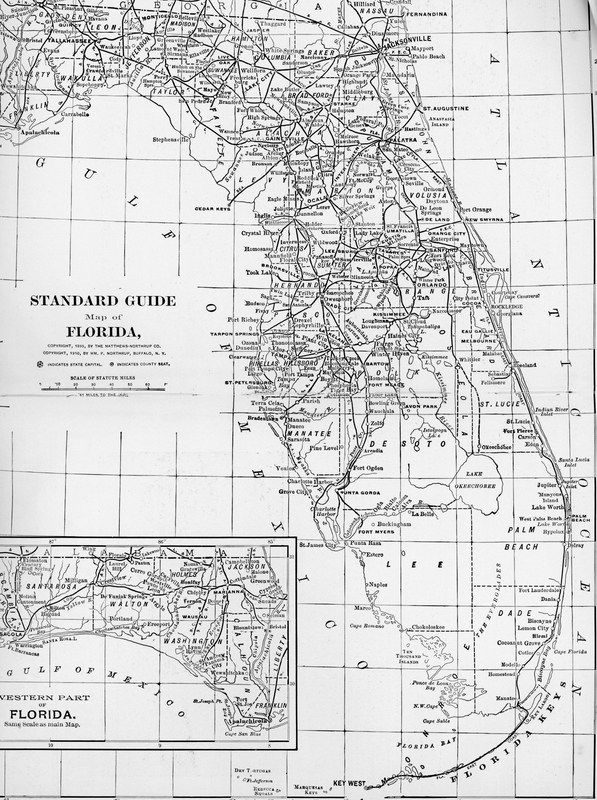 This 1910 Florida Standard Guide map, shared from my mother’s archives, is a black and white goldmine for comparison to our “maps” today. 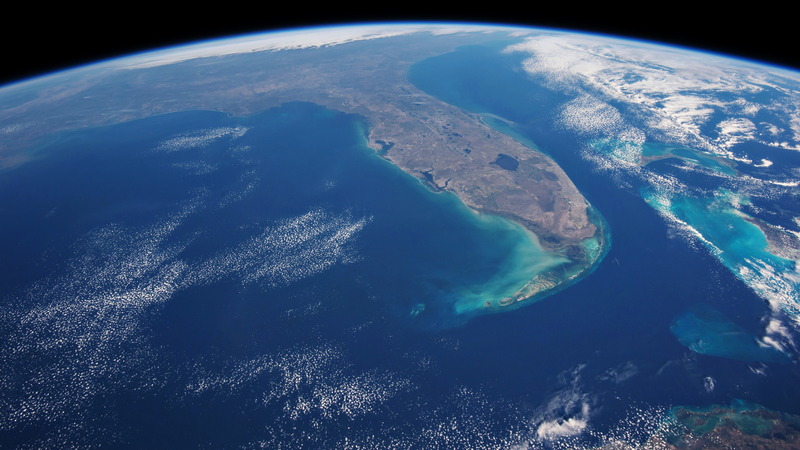 If you are from my neck of the woods, you may notice that there is no Martin County just sprawling Palm Beach County. 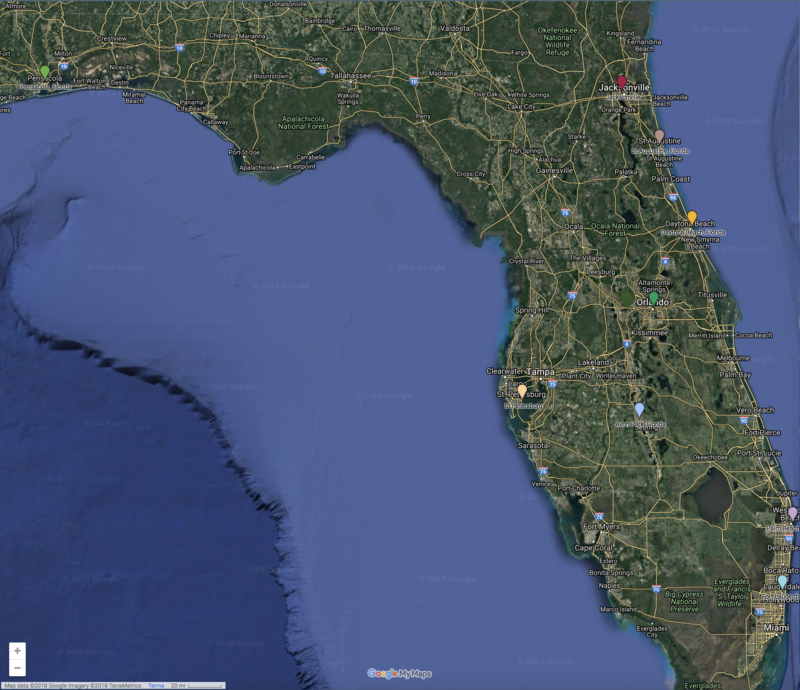 Across the state, we see a monstrous Lee County. 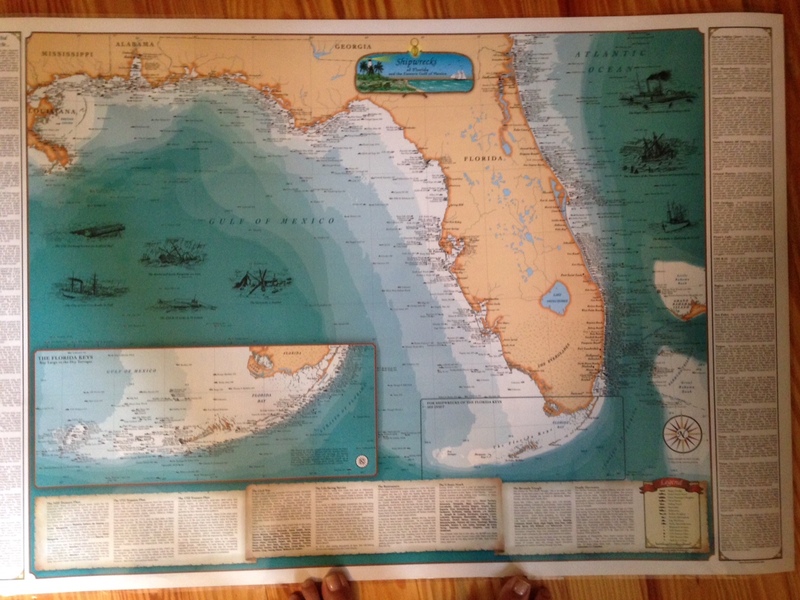 Collier and Hendry counties were created out of Lee County in 1923. 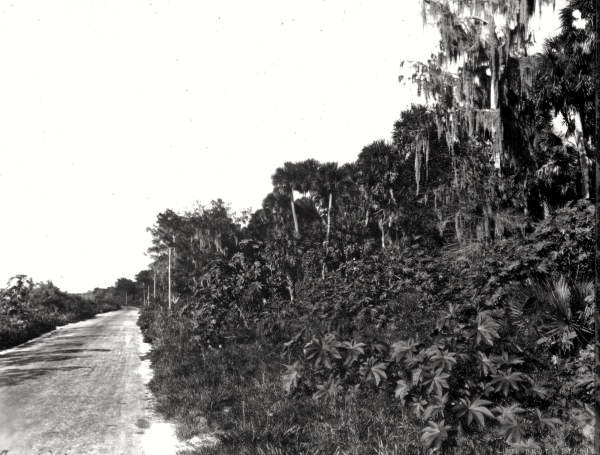 As far as roads, one may notice there is no Tamiami Trail. 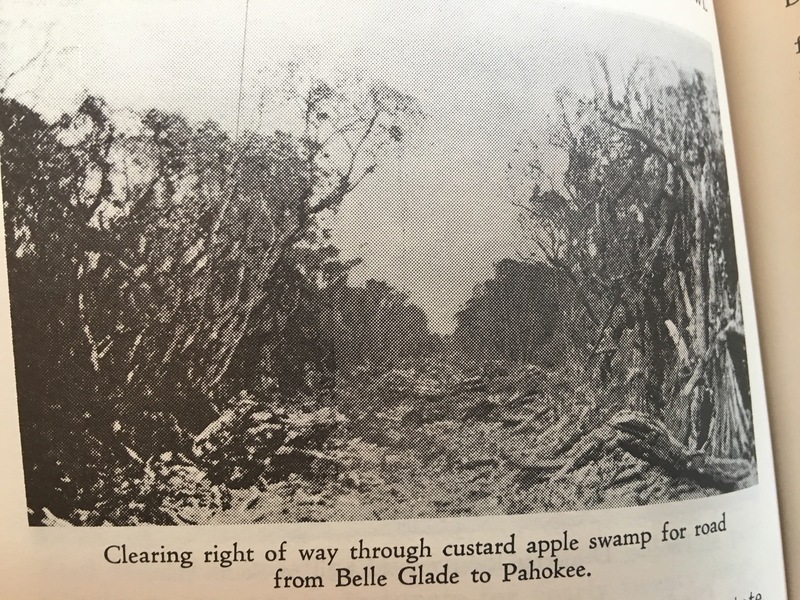 In 1915 construction began on this famous highway that has blocked remaining water flowing south from Lake Okeechobee to the Everglades ever since. 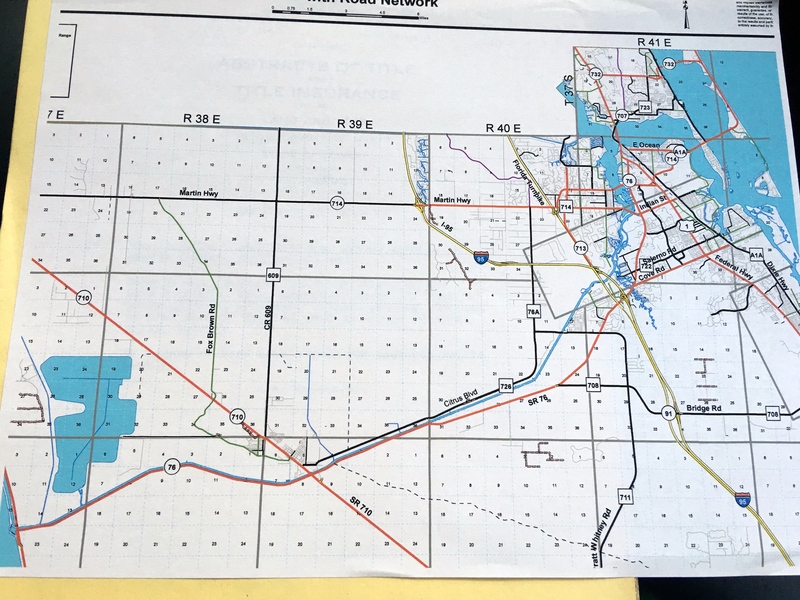 And what about Alligator Alley constructed around 1968? What do you see? What dont’ you see? What’s different from today? I think it is interesting to wonder how South Florida would function today if we didn’t work so hard to fill in the southern part of the map. Yes, today we use Google Maps, or GPS instruction from our smart phones to figure out where we’re going and what develops. 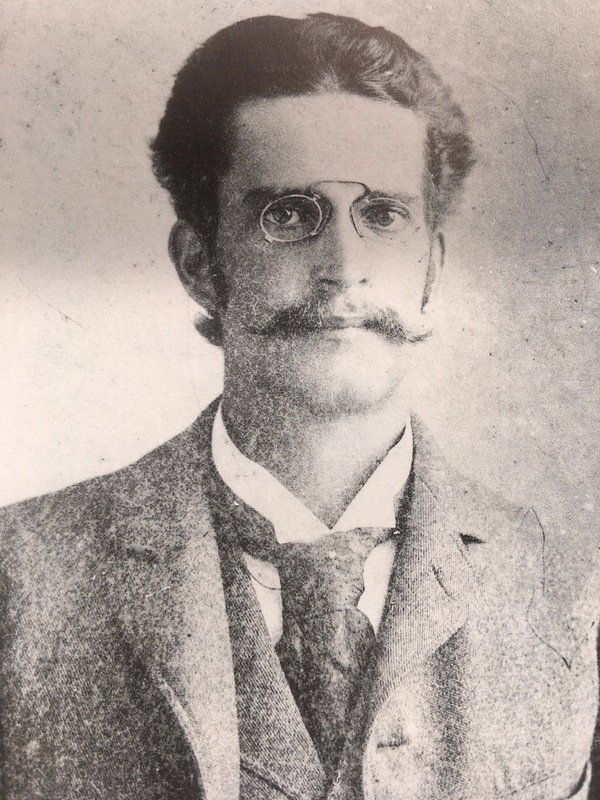 Photo, Robert M. Pitchford, as seen on page 45 of “Stuart on the St Lucie” by Sandra Henderson Thurlow. 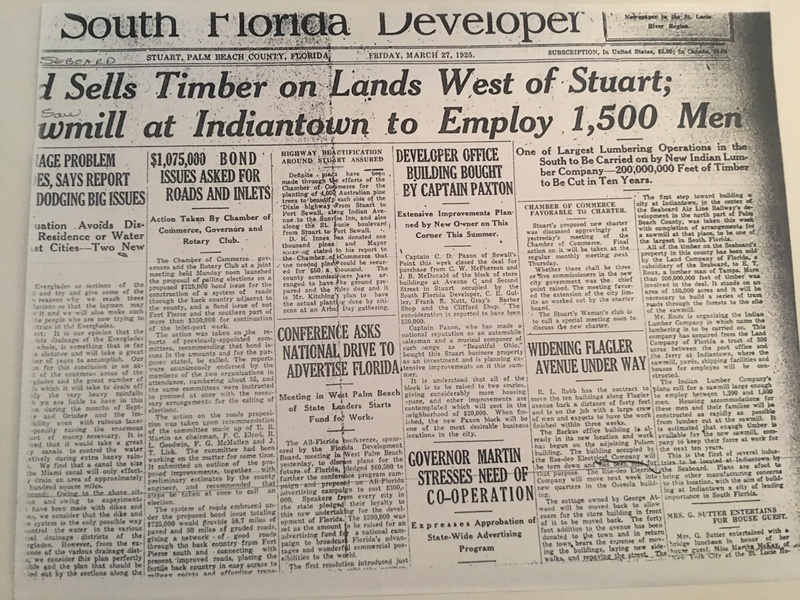 Today I share an incredible historic piece about commercial fishing, written by a leading citizen of Stuart’s earliest days, Mr Curt Schroeder. My mother, historian, Sandra Henderson Thurlow, transcribed his writings. They are typed from a handwritten, unpublished, manuscript. The first time she shared the piece with me I was spellbound and even speechless during parts. Thank you to my mother for her work and for sharing. As it’s a long narrative, I have highlighted some of the most astounding parts for easy reading. Hope you enjoy! Near the line of fire were Noah’s and Sam Young’s bunks. Knowing buckshot to scatter, the watching for movement continued. Finally convinced that there was no animal across from us, we advanced and found Capt. MacCloud’s winter overcoat thrown over a small bush. Part of the overcoat was adorned with black sheepskin. It looked like a bear all right, and if this apparition had been clear of the other shack the writer would have turned loose both barrels. Speaking of shotguns, my partner that year was a Norwegian, Anderson Stolzwig, who had built our skip jack the “Pompano.” Well Andy owned a single barrel shotgun (maybe some old-timers remember the “Zulu Guns” with the 3 inch firing pins.) This was a 12 gauge. Well in his travel overland and sea, (He had walked from Tampa to Malabar) he had lost the firing pin and used a 20-penny spike in its place. Shooting ducks from the boat, he used to warn anyone with him to stand to the left near him, as the recoil of the shot would throw the 20-penny spike back. Of course, he could not aim this gun as the firing pin would have hit him so he simply pointed the gun. He became a good shot and killed many a duck. But he had no takers when he offered his Zulu to others for a trial shot. Of course the had to carry a pound of 20-penny spikes on his hunting trips, as he never found any of the used ones after firing. Of course a head shake was the answer. “Well,” he said, “a big gobbler flew up to roost within 300 yards of us.” He went off located his gobbler and next morning at daybreak, armed with his 10 gauge double-barreled shotgun, he went to the roost and killed the big gobbler. The first seine fished in our section was manned by Brice Loveless and Noah Parks. In those days, seines ordered were hung at the factory in New York. 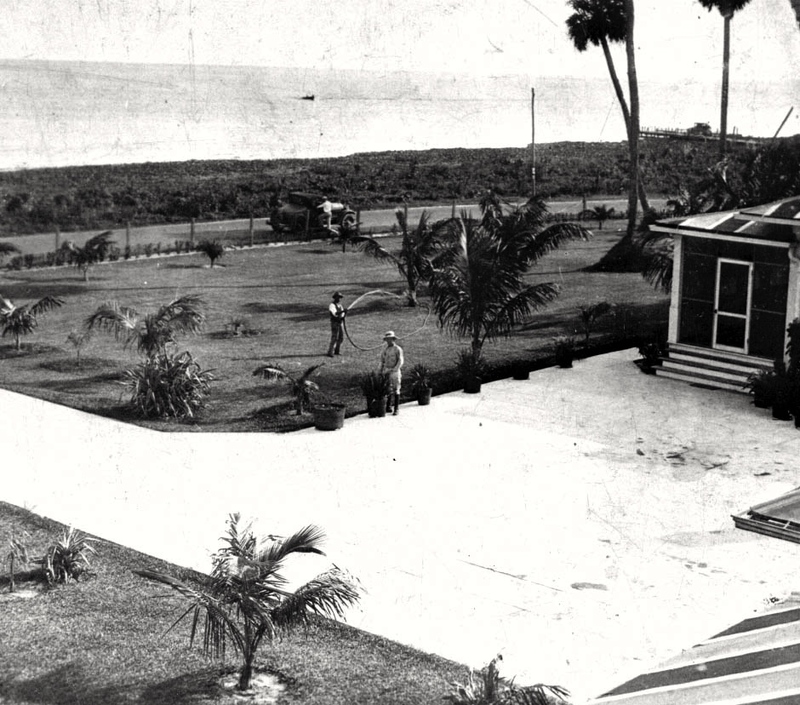 As the crew lived at Waveland, most fishing was done in the Indian River. 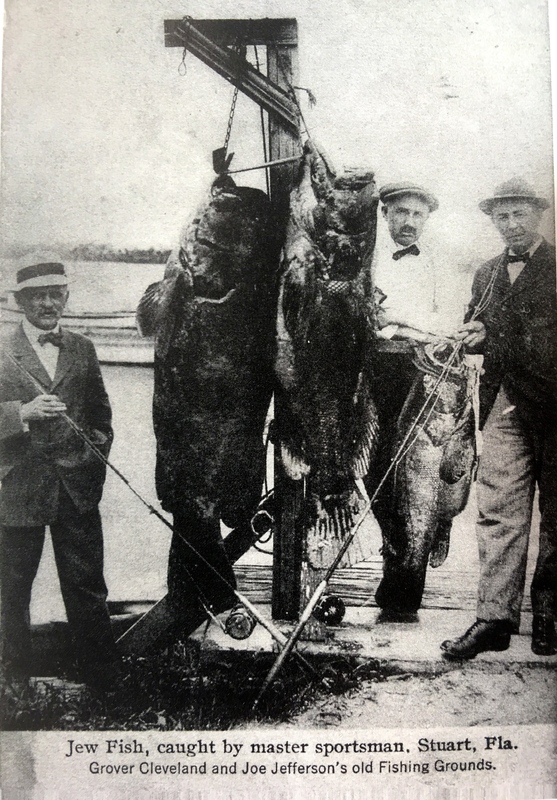 In September 1895, R. D. Hoke, Harry Schultz and George Keller entered into a partnership ordered one 800-yard seine, wings of 9-thread near mid 12-thread and ________15 thread net. A very heavy seine. Their end cables were 3/4 inch rope The steamboat “Lillian” furnished the power to lay out the net, and with trip lines and pulleys hauled it ashore. Keller was an experienced fisherman and also owned the seine boat. Their first remarkable haul was on Rocky Point in early November, they caught over 50 tons of fish, 20 tons salable, balance foul. In this haul they had over 10,000 pounds of stingrays some weighing up to 200 pounds. As stated earlier one of the crews fishing out of Palm City was a seine crew, Noah Parks, Captain Sam Young, A. C. MacCloud and Sam Martin the crew. Noah had an accident and hurt his knees badly so to fill his crew he asked the writer to take over and captain his rig. 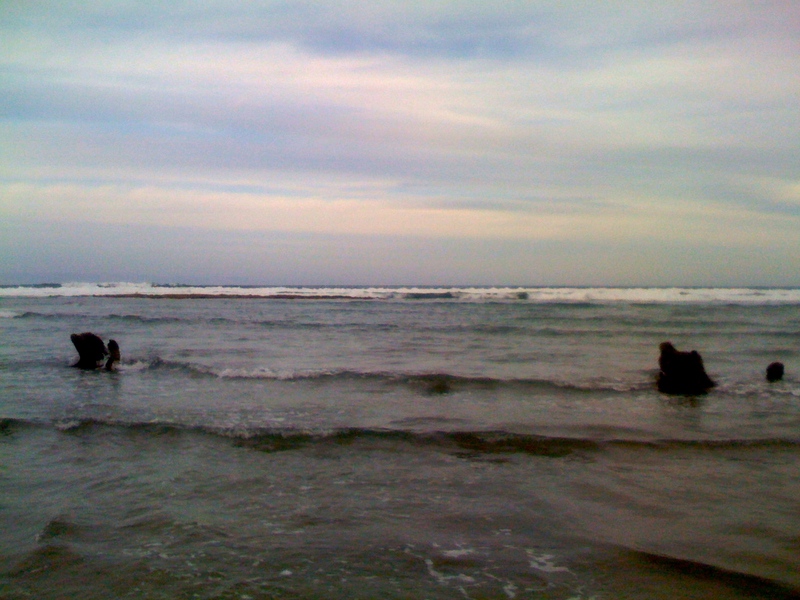 Going towards the inlet after clearing Rocky Point, a large school of mullet was spotted, preparations made for the half circle to enclose the school of fish. Two men were set overboard in knee-deep water, at that time our shorelines were about 50 yards, as soon as the crail or end staff dropped off the boat, these men began to pull for shore. Seining the school of mullet near the shore, the writer used only 2/3 of the net, which was a 500 yard seine and got criticized for not using all the net. Seining the thick school of mullet only a crazy man would have tried to use the entire net, when our boat came near shore we pulled net off to reach shore and tied it securely to a tree. As a strong flood was running, we hauled the end first put over, to keep the net in shape, then next to the end put over last, got same in shape, returned to the first put over end, by this time there were about 250 yards of net out, after pulling a few feet, the school of fish decided it was time for their turn, the fish massed, hit the net and pulled us four men into the river, seeing this, the writer went back and tied the cork line around a cabbage palm standing on the river bank, for a few minutes the crew gained, as this was a slack, a new onset by the mullet, we dug in our heels and it seemed were holding our own, then everyone sat down or fell on the other one behind, the terrific strain was over, we hauled the net in fast, formed about 20 feet of number-9-thread webbing gone between cork and let-line. Picking up we had a 40 dollar haul, but lost about 100.000 pounds of mullet. It was the same day the “Lillian” made her big haul. 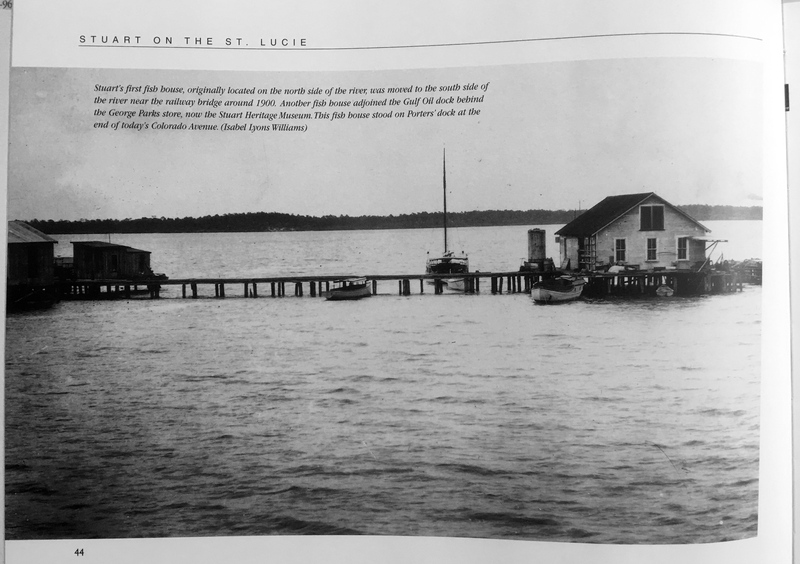 When the St Lucie Inlet was permanently opened in 1892 saltwater fish could more easily enter the SLR/IRL and commercial fishing became a local industry. 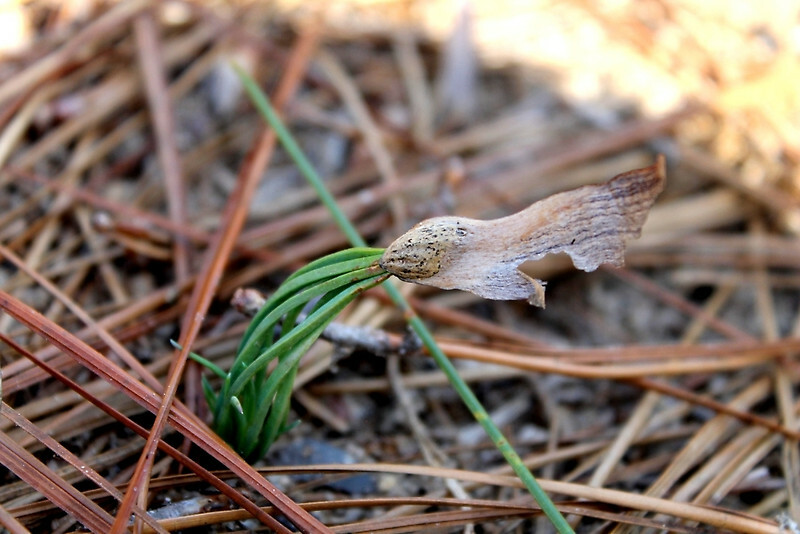 Photo by Robert M. Pitchford, courtesy of Sandra Henderson Thurlow. 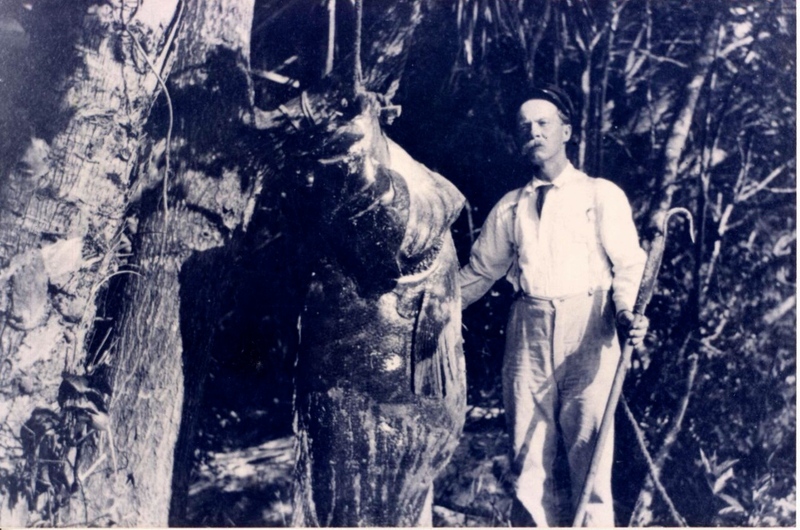 About February 1897 Noah and his crew caught a bull sea cow, manatee that weighed a ton. There was demand for sea cow in our northern zoos. The boys put an inch cable around the narrow part in front of the broad tail and fastened the other end of the cable to a cabbage palm. Delivering their catch of fish they went to Juno, the county seat, for permission to sell the manatee, same was granted. Noah came to the writer and asked him if he could load this big bulk. Having studied this beforehand, he was assured, “yes.” As the sale was confirmed on a Sunday, Noah with the crew and the writer, with two large boats went to the scene of capture. The water at the end of the cable, where the manatee rested, was 4 1/2 feet. We sank the large bateaux which could carry 3000 pounds, slipped it under the sea cow, till same rested in the center and bailed the boat dry. For some reason the old bull did not like the planking under him, he rolled over to the side and upset the boat, anticipating some trouble the manatee had not been untied. Well, the same procedure had to be gone through again. 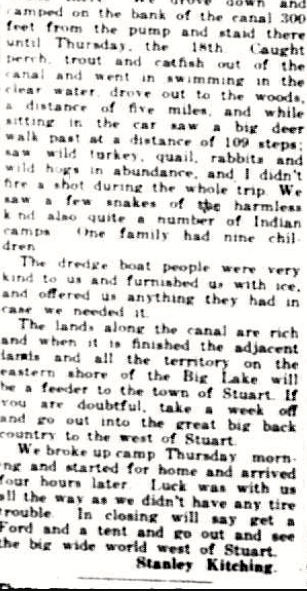 The writer dispatched one of the crew to the camp to bring an additional boat. When this boat arrived a boat was lashed to each side holding the middle one with the bull safe. 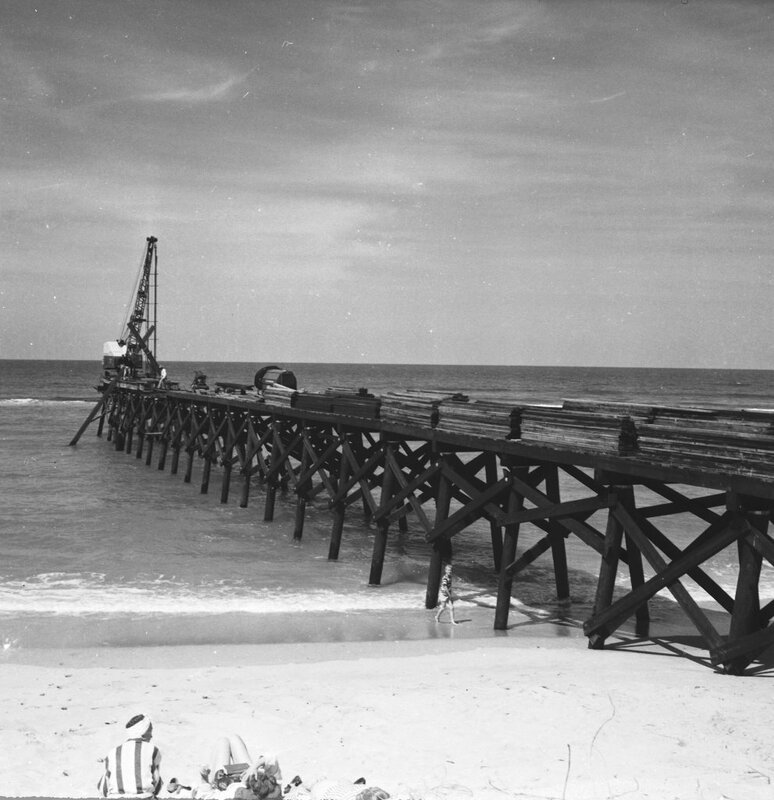 The buyer had a tank built at West Palm Beach, loaded on a flatcar and brought to north Stuart where the manatee was loaded over a ramp with help of block and tackle. About two weeks later one of the New York Sunday papers told how the brave buyer had captured the monster of the deep at peril of his life. Of course our manatees are very timid, the only danger lies in coming too close to the broad tail. In deep water, a blow with that tail will knock a man senseless. 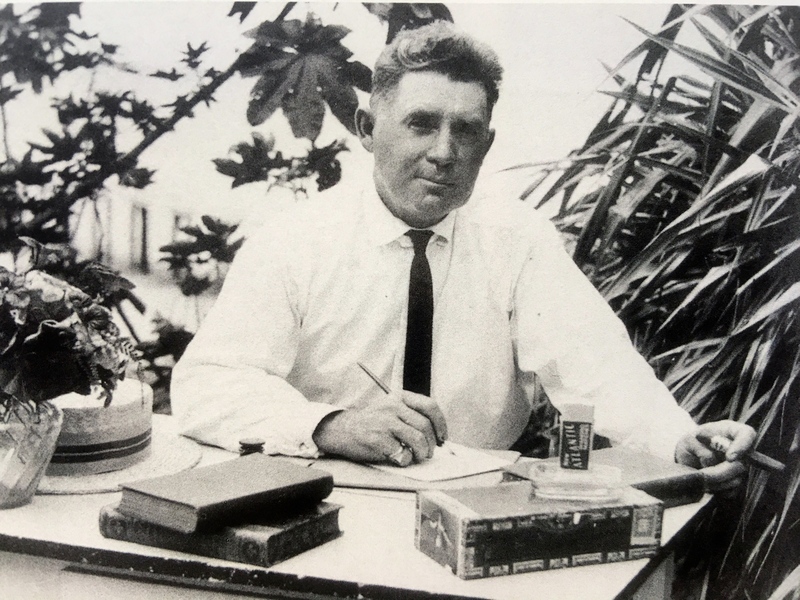 In summer 1894, Cousin Henry Stypmann and the writer had rowed down to Sewall’s Point, while there about one hundred yards off shore, the rear of the row boat went up about 2 feet above water, throwing the writer, who handled the oars, backward, all his hair standing on end. Well Henry set in the back seat laughing, asking for an explanation, he told me that the s—— of the rowboat had hit a sleeping sea cow. 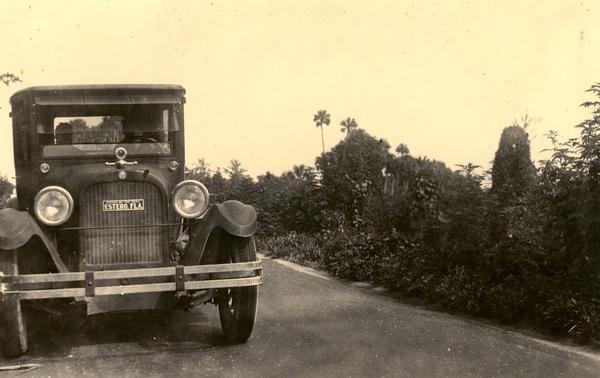 I had the same pleasure in the summer of 1918, sailing up river in a light skiff the center board hit a sleeping sea cow knocking the boat about a foot out of the water. 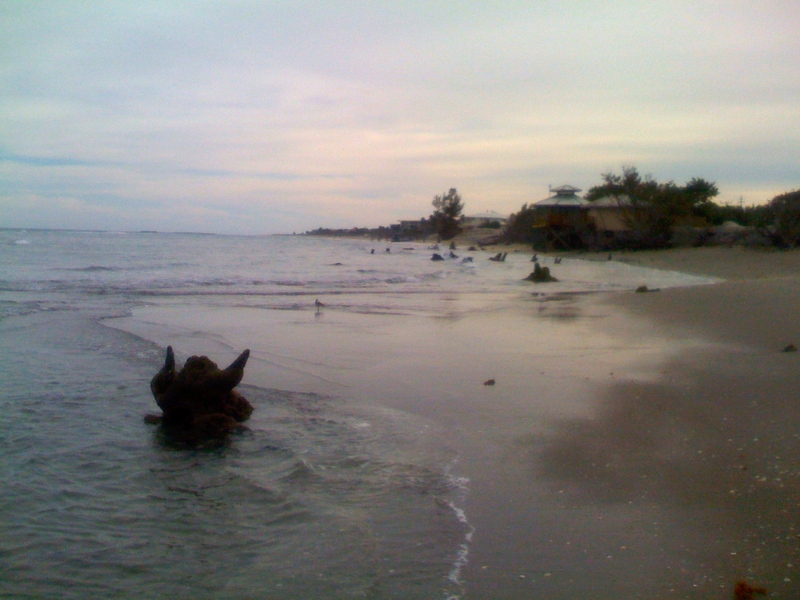 The old sea cow got scared and made for the deep. 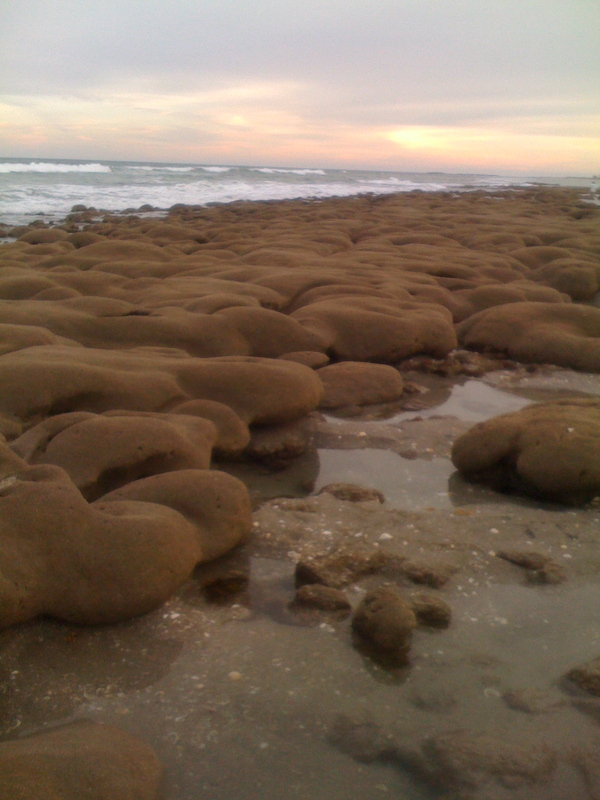 Manatee Creek and Manatee Pocket also called Scobee’s Pocket, seemed to be the favored spots for sea cows to come ashore on high tides and take their sun baths. As many as 7 have been seen there at one time, sunbathing. During the summer they came up the river and were often seen in the North and South Forks. 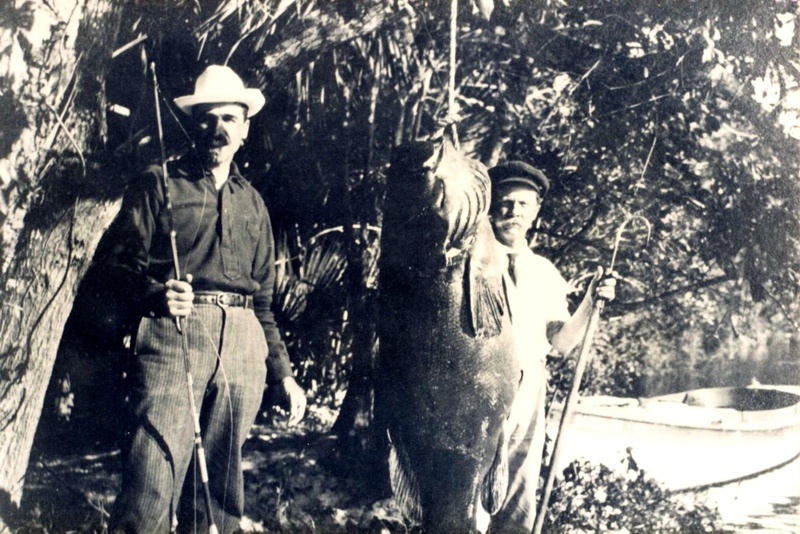 In the early days when game was plentiful, no one though of eating manatee, but around 1916 young manatees were butchered, pickled and smoked, the meat tasting like pork. In April 1897, C. D. Blakeslee and self decided to take up seining. Charles had ordered a 350 yard specified cotton net. When this net arrived, we went up to his homestead to tar and hang this net. 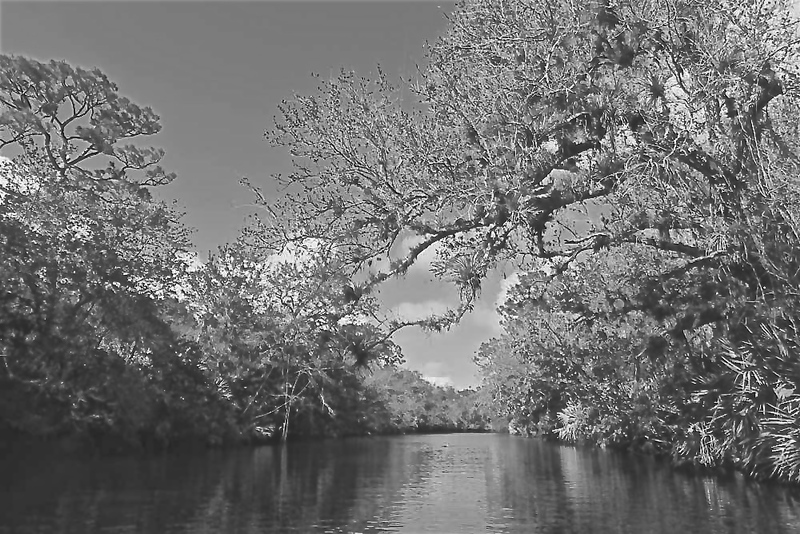 Having given lots of thought to this new undertaking — this was the first seine hung in South Florida. — We hung our cork-line reasonably tight, the lead-line was pulled tight by two men and securely tied, making same 20 feet shorter than the cork line. In hanging the net, each cork and lead were tied separately. 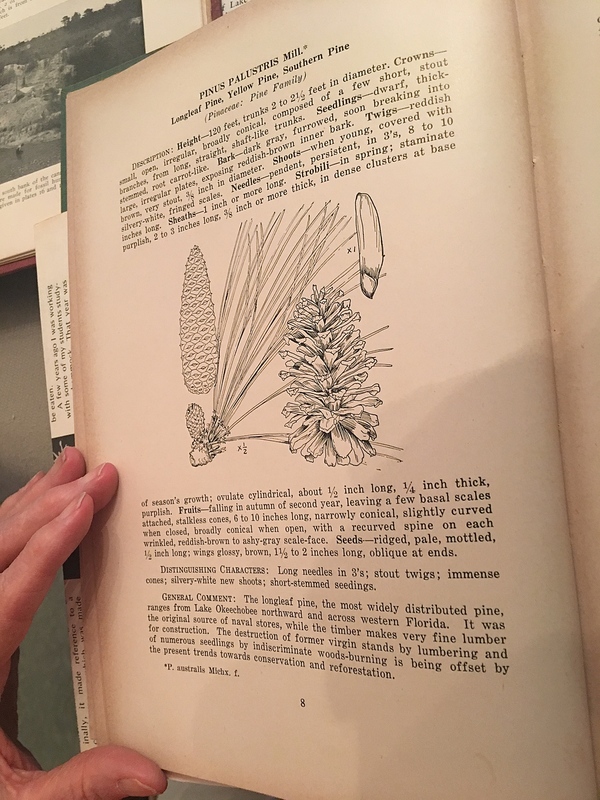 Captain John kept our hanging needles filed and Robert, better known as “Pete,” by his friends was the chef, conscientiously cooking three pots of Lima beans each day, the fourth day Pete struck as cook. Our first one-man strike in upper Dade. Pete by inclination and training was a horse trainer, also a good man with cattle. Pete trained trotting horses, owned a rig of his own and won many a race in Yankee land. From 1912 till 1918 he was a teamster and always had fine horses. 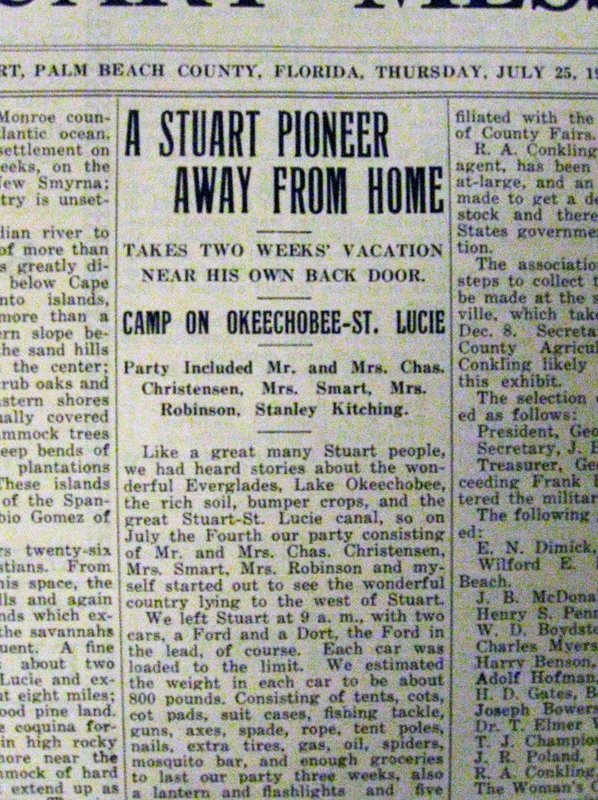 He passed away in 1926, while this writer was North. 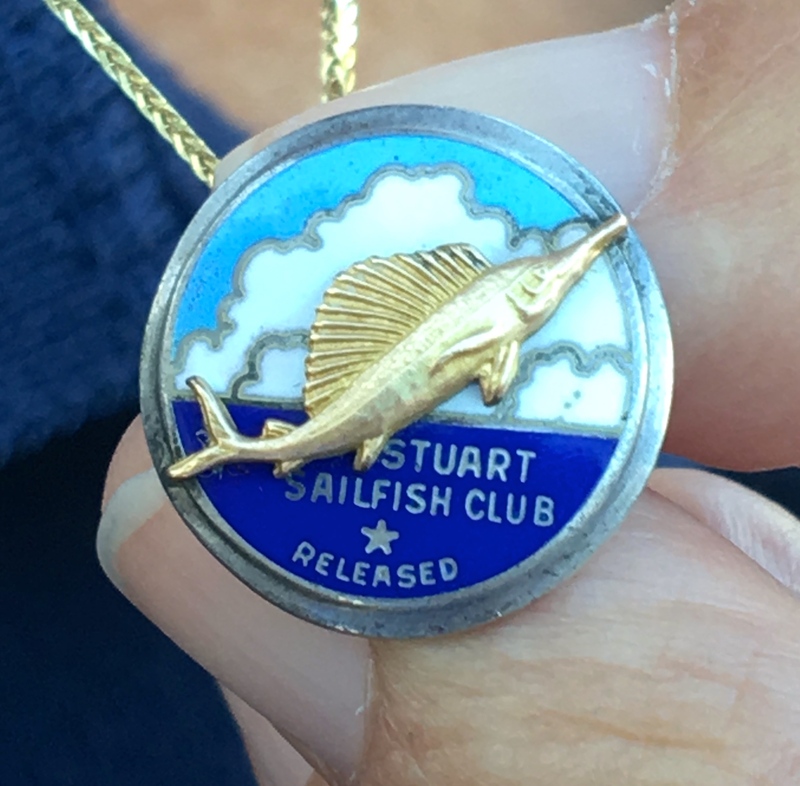 Coming to the fish house with our small seine, Uncle Ernest Stypmann, then part owner of the fish house said, “Once already that seine will never glut our marked.” The 350 yards of light twine 4-inch mesh on wings. Three and one half-inch bunt–looked a very small pile. We ran 100 yard end lines which gave us a 550 yard half-circle. After handling it a few days making paying catches, the two of us made 8 hauls a day. Three weeks after our first landing at the fish house we came in with 1200 pounds of large pompano and about 400 pounds of bottom fish. Well, Uncle Ernest scratched his beard. Ogletree said he’d take 600 pounds of pompano at 6 cents and ship 600 pounds or three barrels on commission, bottom fish 1 cent per pound. It seemed the little seine had glutted the market. Each barrel and packing the fish was $2.00. The commission 10 percent. 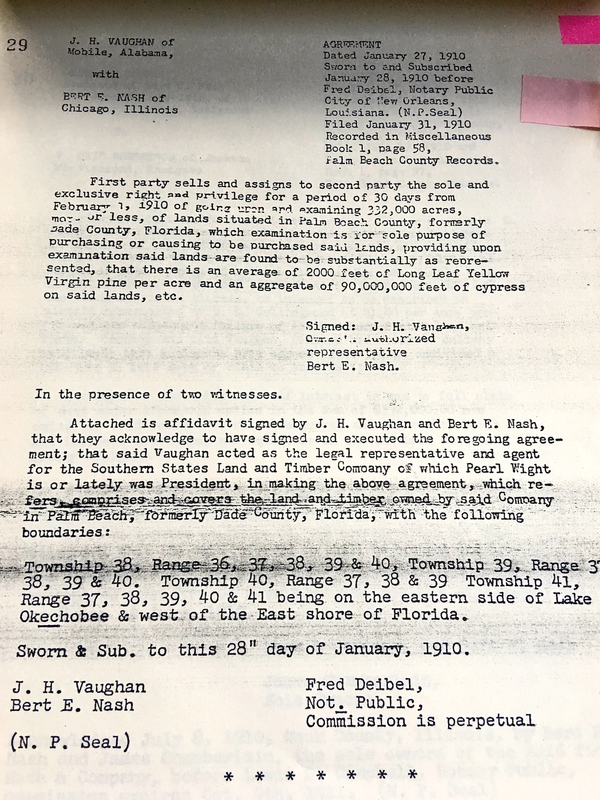 About six days after our catch, Ogletree made the proposition to give us 6 cents per pound for the fish sent out on commission. Our attitude was that we take what the commission sale would bring, win or loose. These pompano had been sent to Washington D. C. and returned eighty bucks for the 3 barrels, $8.00 for commission and $6.00 for the 3 barrels ice and packing, left $64.00 for the fish. About 10 1/2 cents per pound. No wonder Ogletree wanted to take them at 6 cents. 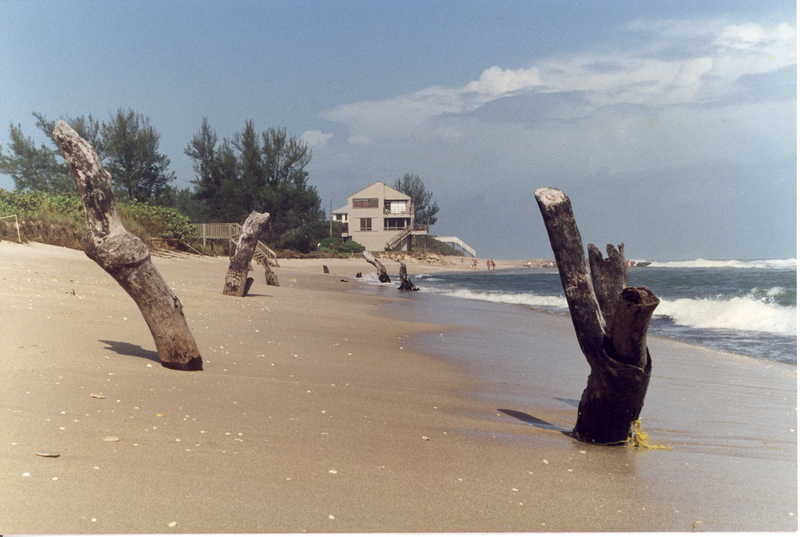 The pompano market became glutted that late spring. To keep on making grits we caught 500 pounds of pompano for M. R. Johns, who paid us $10.00 as we caught the fish in two hauls in less than 3 hours, we were making many. By 1901 seining was in full swing. 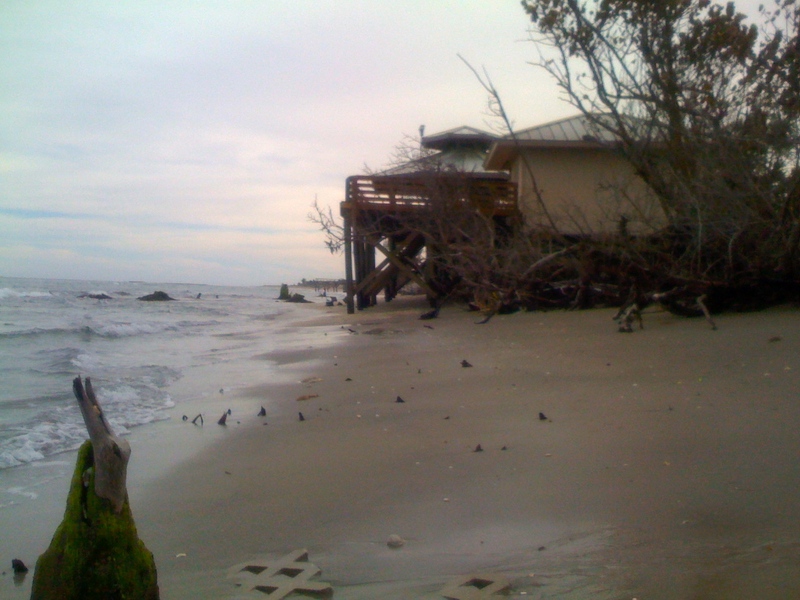 There were 3 fish house on the river. 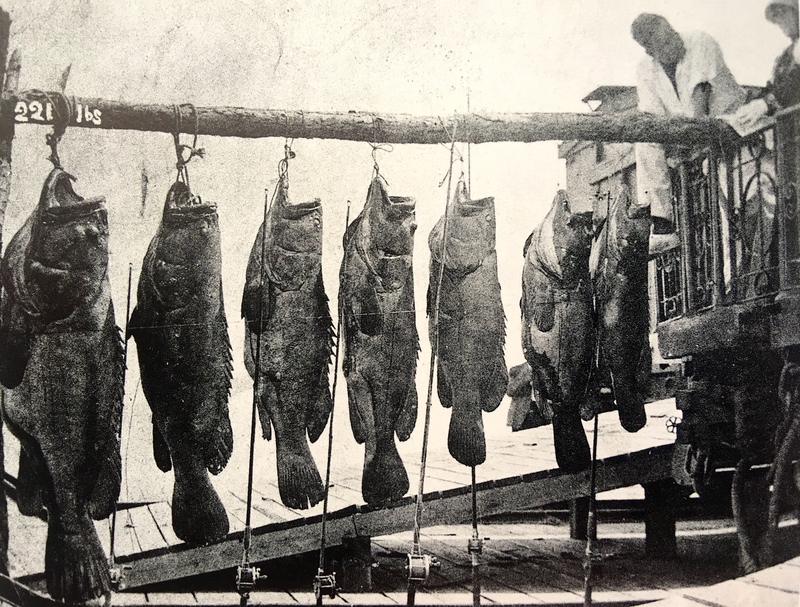 In February 1901, a big run of sheepshead had come up the river, the writer was fishing gill nets, Gus Griffin, was our helper, that night the gill nets picked up 50,000 pounds of sheepshead, our boat had 5000 pounds. Charles Blakeslee and hid dad caught 48,000 in their seine haul at Rocky Point. Russian Ed got over 90,000 pounds at Sewall’s Point. The sheepshead were so thick and massed, that a man could have walked on them for a long distance. The sheepsheads will fight a net for a short while, but not as savage and massed as mullet. Two days after these catches the market broke. You could not sell sheepshead for anything. 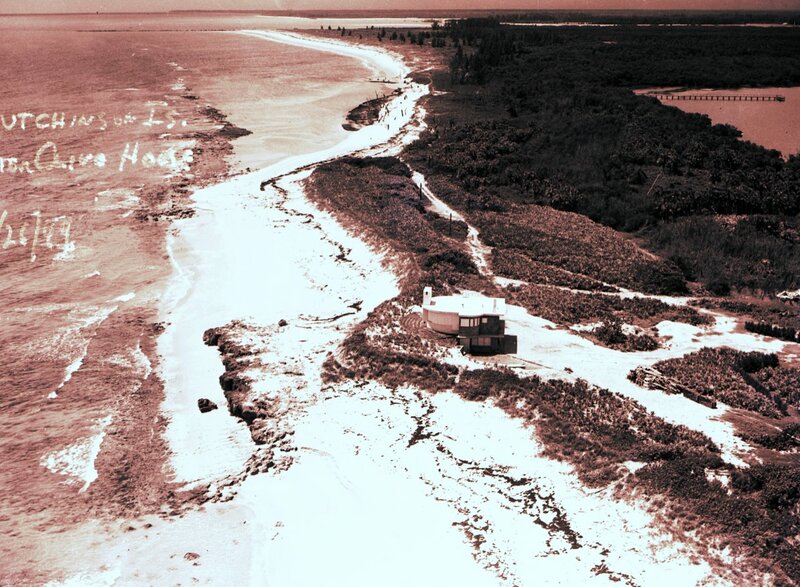 In 1904 we had three fish houses on the River, and 15 seines running, fishing North and South Fork our main bay, Hogg’s Cove, the sandsprit and the Indian River at Bessey’s Cove. Fishing was good. In February, March and April, big schools of blues came up river to spawn and feed. 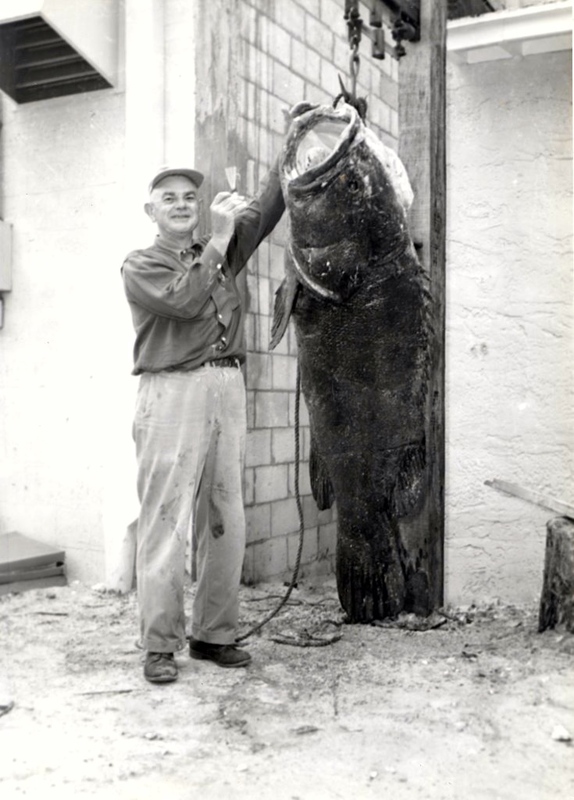 The seines made big catches of blues. Our first Palmer-powered launches turned out for trawling caught big catches with two lines running. 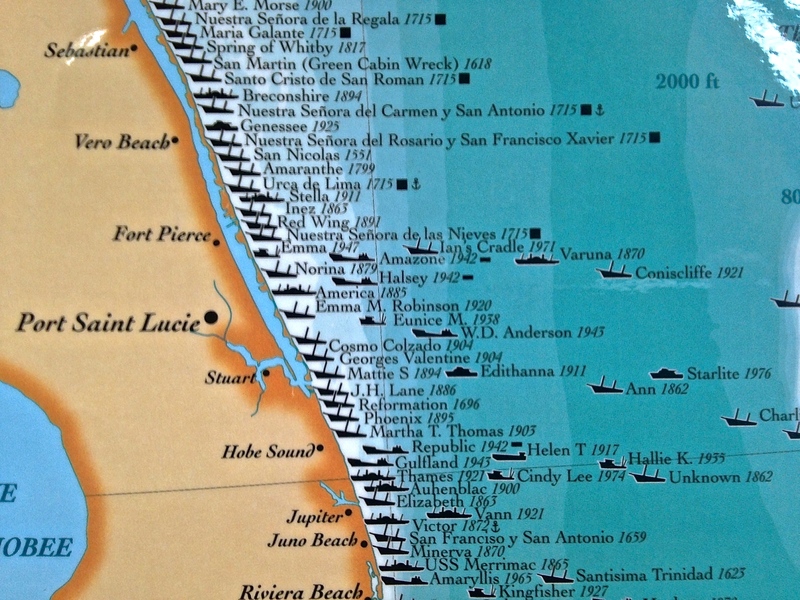 One hundred pound per hour trolling catch was common that spring per boat with one man. Fall 1902 instead of fishing, a garden was started. 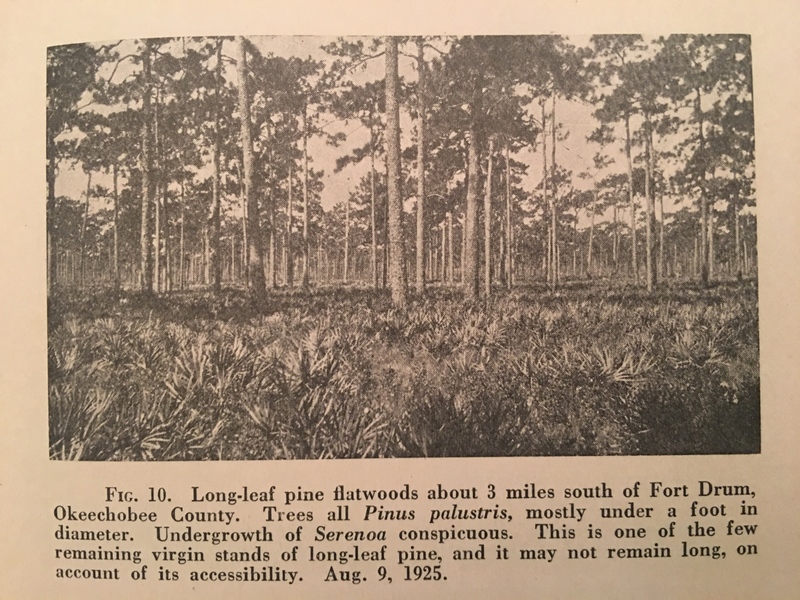 Beans, tomatoes, squash were planted on about three acres, located from the east side of the Stuart Department Store to the east end of the Pressel Building, including Osceola Avenue, to near the Post Office, also Seminole Street. As the strong northers were hurting the growth of plants we had to put up a 10 foot high wind brake, getting edgings for same from the Dupont and Middleton Sawmill on the north side of the River, location was South of the Wiley Garage, this mill cut 25,000 square feet each day. The first vegetables planting paid expenses and some profit. Our pineapples were making money and carpenter work during winter months helped out. Prospects were grand. Everyone here was making money. One met none but smiling faces. 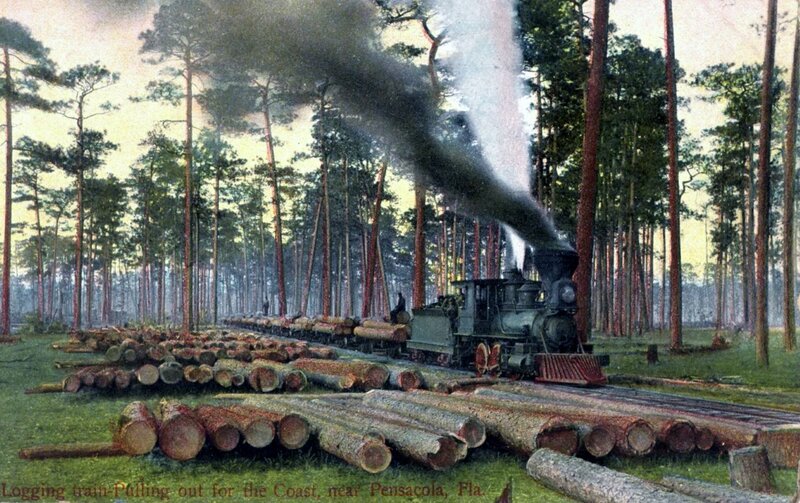 Our banner crop of 1908 promised great returns, till the F. E. C. turned loose their Cuban Fruit Express. The operation of same has been explained in a former article. Christmas Eve 1909 brought a slight freeze and February 1910 brought a white frost. 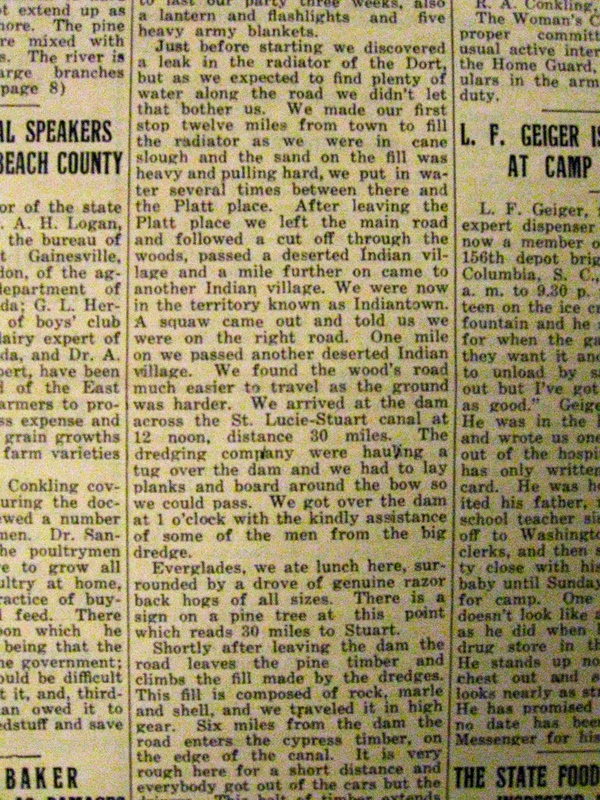 The writer with John Michelis as a partner and Jack Spiers had farmed at Cane Slough fall 1909 till mid June 1910. The Christmas cold killed our beans, four acres between the three February white frosts killed another four acres. In March, Johns and self had 1 1/4 acre of fine Irish potatoes ready to dry when a heavy rainfall flooded same, loss about $500.00. 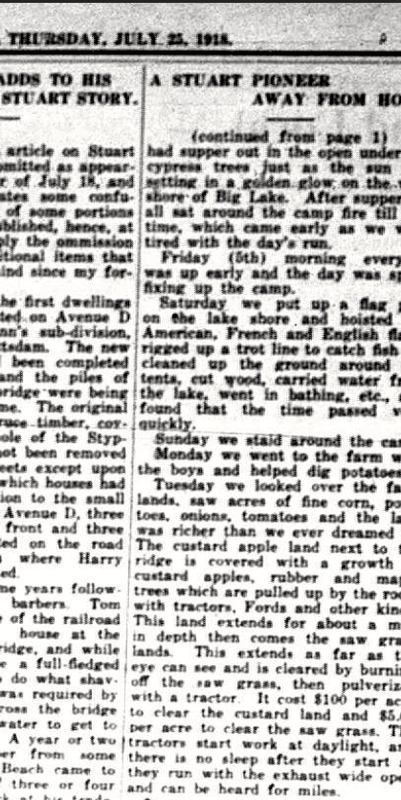 The three of us had 5, more acres of potatoes on the west side of Big Cane Slough, but same so planted later were badly damaged by the flood and brought only a few bushel large enough to sell locally. That season’s farming will never be forgotten. The writer had never handled teams or plows. Jack and John did our plowing, the three of us had bought a good big horse, “Jim.” as they did the plowing. Well they wished a bull and three oxen on me to do the disking. Oh boy, what a life! The two yokes pulling the disks moved about 1 1/2 miles per hour. As a short handled 10-foot whip went along, it took a very short time to learn how to flick a small piece of hide from the oxen. The bull when whipped, would stop, and the three oxen had to haul the disk and the bull. No more whipping the bull, but speed went down to about 1 mile per hour. On a Saturday night coming to town, saw my friend Pete Blakeslee and asked his advise about the bull — how to accelerate his movements. 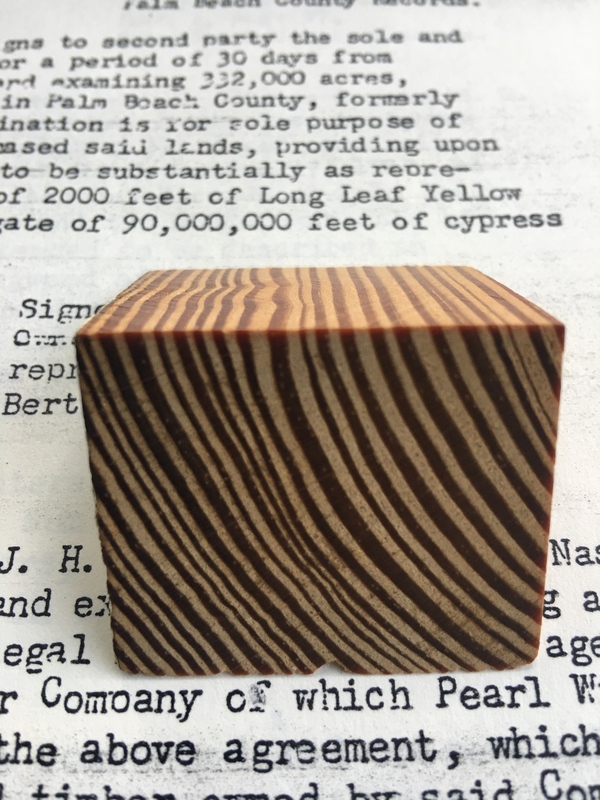 Well Pete laughed, said believe it or not, but try it, takes a small piece of board put it under the bulls tail take a piece of wood about 2 inches wide 4 to 6 inches long, use the edge of same and scrape the bull’s tail, but be sure you are free of whatever the bull is hitched too. Will next Monday while disking with the ox and bull team, when the bull — he belonged to Hans Olsen –got lazy, the board and scraper was tried. I am glad that Pete had advised to stand clear, as after about four scrapes, the bull tried to run away with the disk and oxen. Only one more scrape treatment was given after that, banging the two pieces of wood was enough to convince the bull it was time to work. Well, the best this ox and bull team would do was one-half acre in 10 hours. Rental for the ox and bull team was 40 quarts of sweet feed per day, also the rounding up of same every morning as these cattle were turned loose to graze. Well on the 8th day the writer went on a strike. No more oxen or bulls– too pay for work returned. 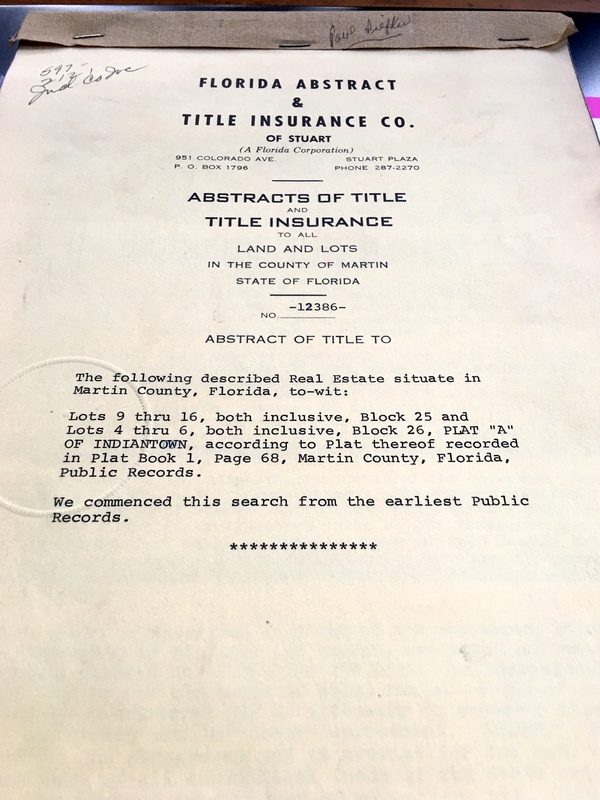 We hired Byron Ball’s “Nellie,” a large black mare and with our “Jim” had a fine span of houses, turned out 1 1/2 acres and better per day of well disked land. Growing that year was jinxed: freeze out, frost out, drown out — after the water had run off, John agreed to go in with two acres of tomatoes. Picking out a piece of good prairie land, the writer did his first plowing and turned up two acres in two days. Luckily, Will Crews, had a very large seed bed of tomatoes, ready to plant. Well, we planted our tomatoes in the damp soil and with plenty of fertilizer they grew rapidly and in early May plenty of fruit had set. 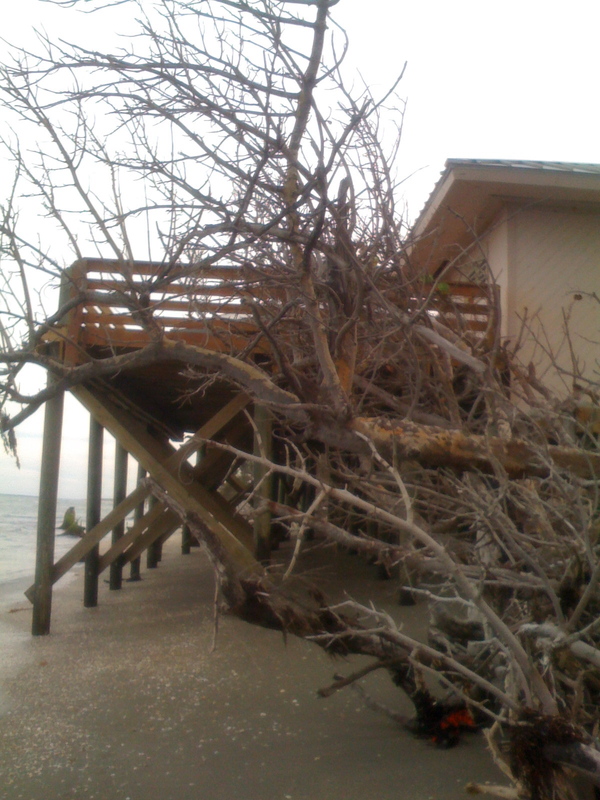 There was hope that we might retrieve some of our losses. Well you know, “Hope is eternal,” as May sped into June, hope was lost, as we did not have a drop of rain till near the end of June. Our tomatoes were looking fine and had plenty of fruit, but on account of the drought were too small to ship. We sold plenty of tomatoes locally at 10 cents per basket, shipped about 10 crates North. Our pineapple crop that year was very small, no prospects of any work. 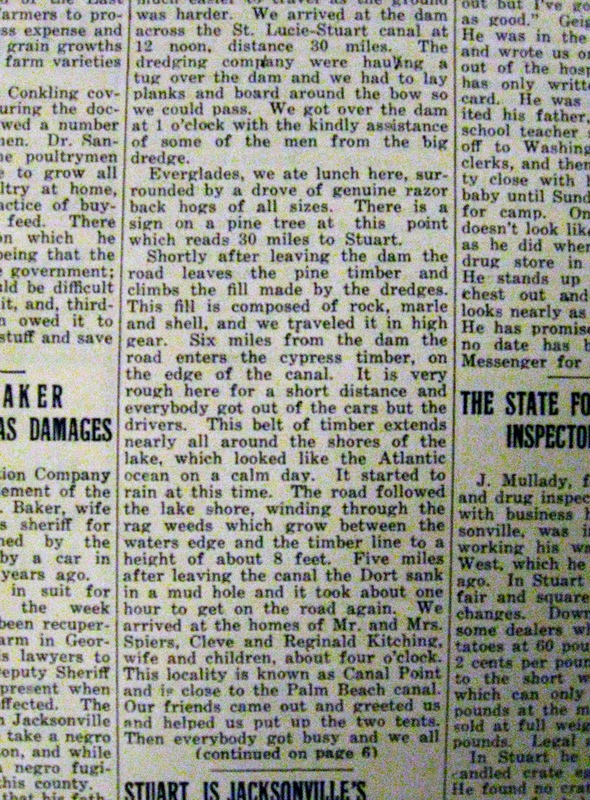 Well, when we went out to Cane Slough in early November 1909, we had no debts, some cash money. Coming back we owed the Trueman Fertilizer Company 457 bucks. The feed fill at Parks’ $100.00, our grocery bill nearly $200.00 and we had done seven months of hard work, hours from daylight to dark. As we sold our team, the feed bill was paid, the pineapple crop helped to pay for some of the groceries. Well, things did not look rosy. Talking things over with the boys here, seine fishing was thought of the sinecure. 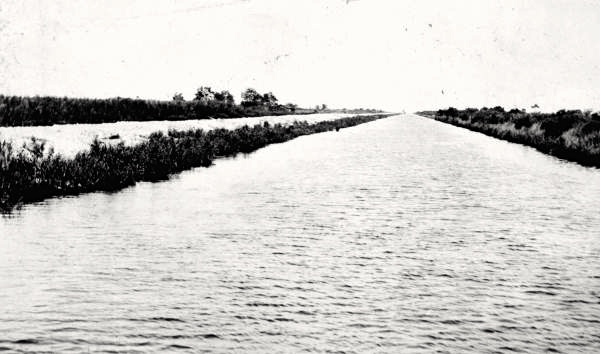 Well in 1910 it was against the law to seine as matters were grave, the writer went to West Palm Beach, to ask for help from the County Commissioners while in session. The help asked was to allow seining. As the County Commissioners had not made the law, they could not set same aside. Well, Capt. Baker, our first sheriff of Palm Beach County, was tackled, he was told that matters were really desperate. It was a matter of robbing a bank or breaking the law seining. Old Capt. shook his head, “Curt, if you rob a bank, I will put you in the pen, if you seine, well if I don’t see you, I can’t catch you.” Well this oracle was good enough. With the exception of about 10 elderly men every male went a-seining. John Michaelis and self got an 800 yard used seine weak in spots, a round bottom seine boat with a 5 horse power Palmer and a large bateaux. Seining method had advanced, using 200 yards of 3/8 end-lines on each end of the net, the net was hauled ashore by one man windlass power and about 200 yards of each side of the half circle was hauled in by windlass, balance of 400 yards was hauled in by hand. Six months of fishing paid up the farming debt my share about $600. 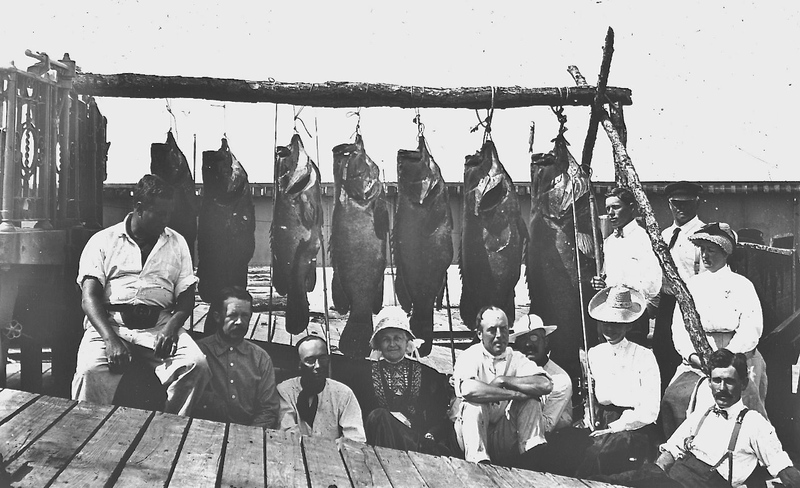 In the summer of 1910, the river was full of pompano, one thousand pound per single haul occurred often. One day in August, while laying out, our seine got around a school of pompano over on the sandsprit in front of Rio, as we reeled the net to shore the cork line in about the center broke in two and the web tore half way down. We tied the net back together — when the haul was finished we had 853 pounds of pompano. How many got away? Who knows? In September John and self ordered a new net and new lines, our lead lines now were double lines, to avoid the rolling of the seine when hauled in. We tarred one net and hung it. As part of the net was hauled by hand the lead line in an eight hundred yard seine was at least 60 feet shorter than the cork-line, object to form a slack in the web to kind of pocket the fish when pulled ashore — later regular pockets were knit into the bunt. 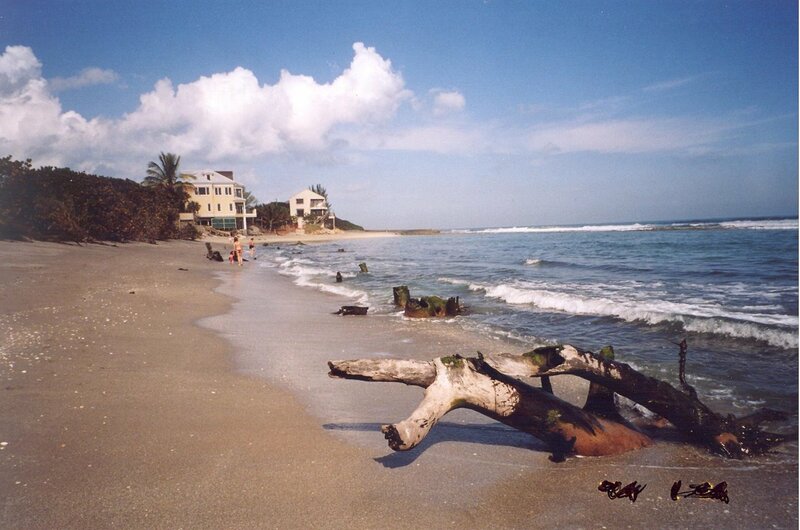 About October John decided to go to West Palm Beach leaving me to look for a new partner. Well, my good friend Bill Baker wanted to try, we fished for two weeks, made about $15.00 between us in that time, one day in the second week we caught an eight pound loggerhead turtle, Bill said, “There is some fine meat. 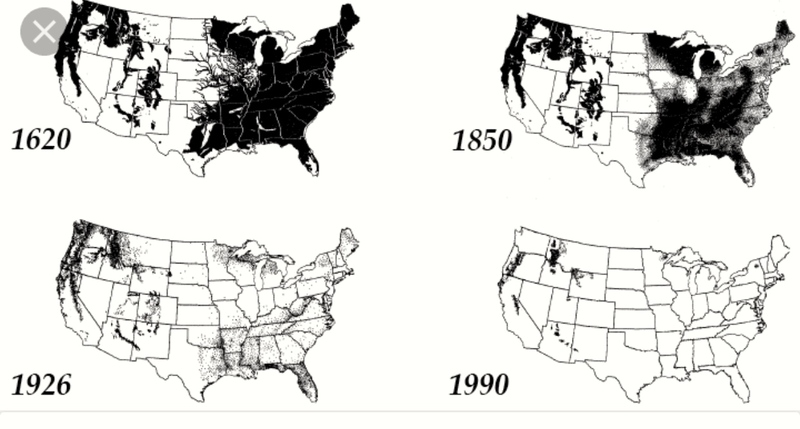 Let’s kill it, when we get home.” Well we got home, sometime, in 1909, while horse trading, the legislature enacted a law, declaring it illegal to kill loggerheads, or have their meat in possession. Knowing the law and also knowing that Bill Baker was our Justice of Peace, Bill was told if his kids needed meat, he was elected to decapitate said Loggerhead. The writer was willing to do the butchering. Well, we ate turtle meat for supper. Bill quit on Saturday night. Pete Blakeslee who had just returned from the nutmeg state was elected to jump in. In our first haul next Monday night we caught about 3000 pounds of mutton fish, snooks and some pompano at total of $35.00. We had made the bill haul, and after making same steady each day took out over $1000.00 in 6 weeks time. Who was jinxed in Bill’s time? 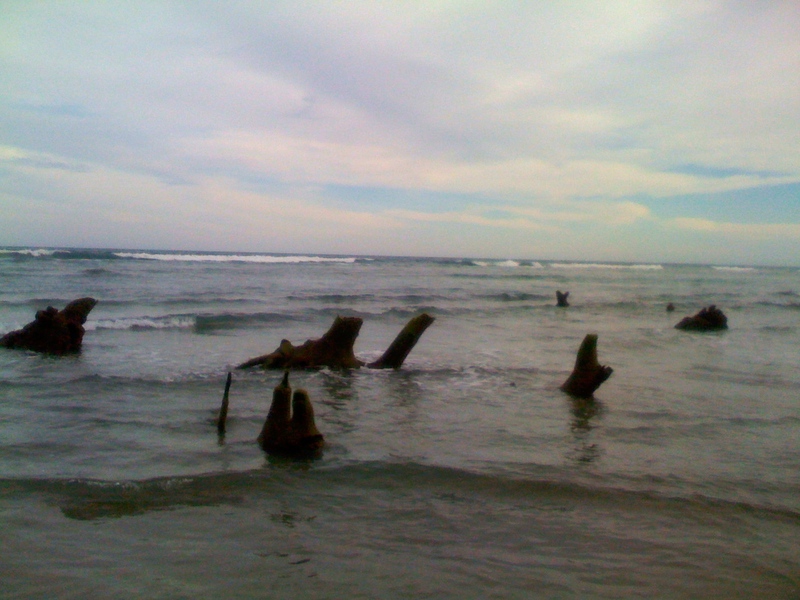 Through the years all obstructions: logs, brush, tree trunks had been hauled ashore. The river bed was cleared, there were a few places up the North Fork and in Hogg’s Cove where the bottom was muck which would foul the lead-line and pull the seine under. These spots were avoided. 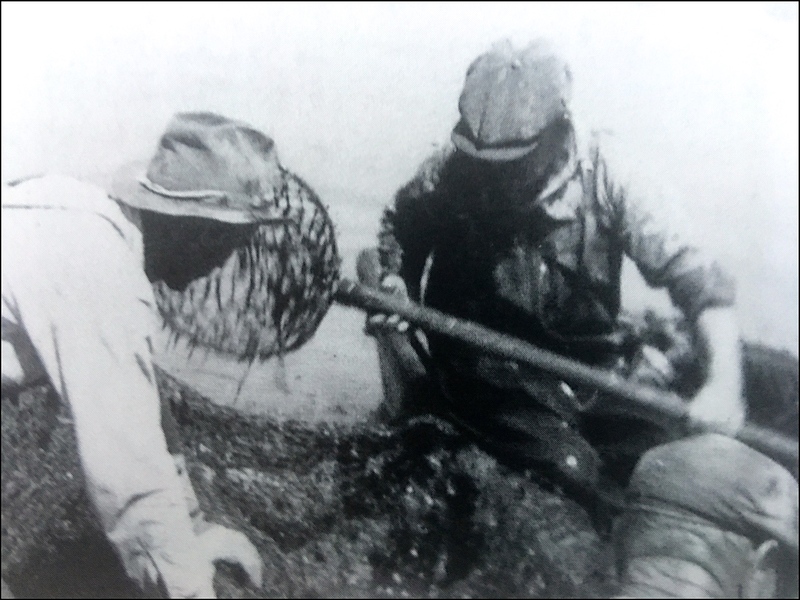 When we started seining in July 1910 we started fishing at night, on account of the “no seine law” which Capt. Baker’s dictum had eased considerably. One night, going up the South Fork to make a haul, we came close to the shore near the junction of the North and Sough Forks, someone was hauling a seine there. The Next day we learned that Capt. Hansen with Jack Spiers and Cleve had been nearly caught fishing, when they saw our boat they had taken to the Palmettos believing the law had come for them. Talk about poetic justice, about three weeks later, the same thing happened, only this time John and the writer who melted soundlessly into the saw palmettos, and Jack, Cleve and Hansen had the laugh. After an hour of hiding we came out finished our haul, most the fish got away, we sold about $3.00 worth that night. 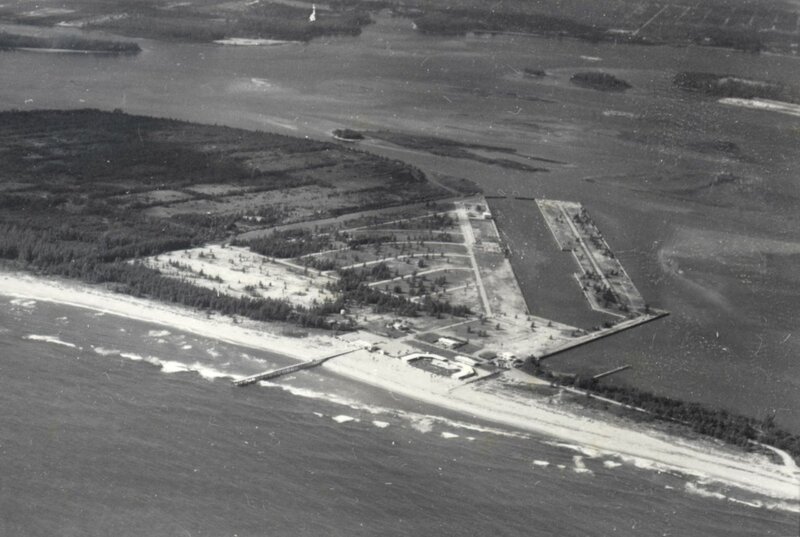 The opening of the St. Lucie Canal brought great changes. The roiled water ran out all self respecting fish, the silt covered the large feeding places, and the continued fresh water killed the mussels, clams and oysters. During the years it changed the depth of our river. 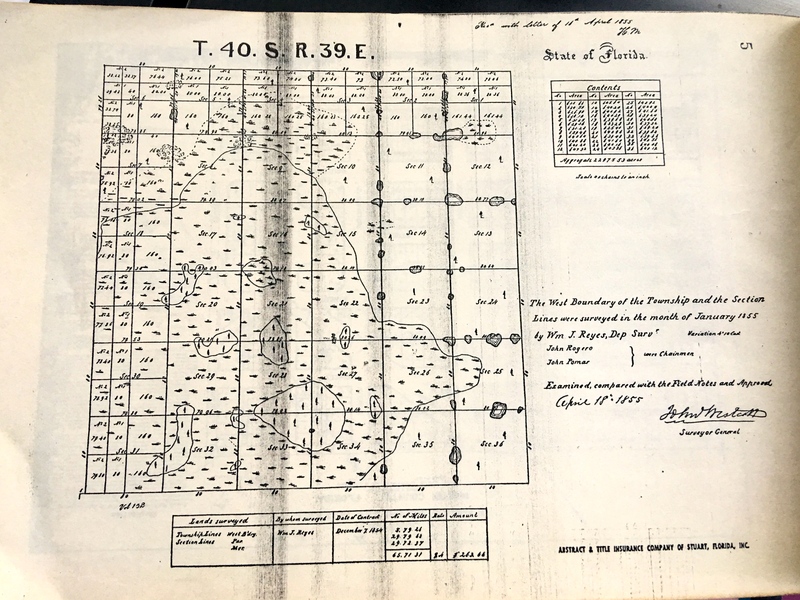 The North and South had an average depth of about 14 feet, our main bay 16 feet and better — figures set up by the 1895 Geodetic Survey of our Government. All these bodies have shallowed more than 4 feet. 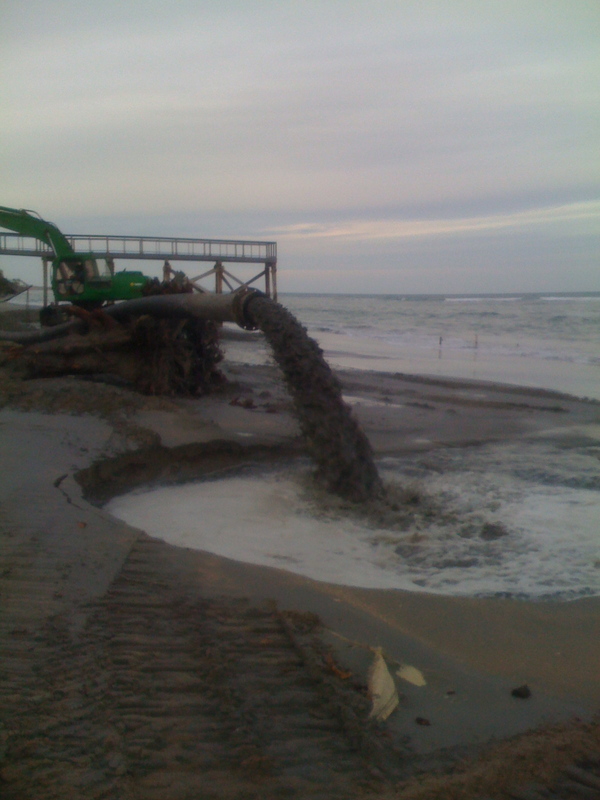 Most of the clear sand bottom is gone, now filled over with silt and muck. Fishing methods changed in former years it took two boats, power and bateaux, two good men could make two hauls a day an eight hundred yard seine using elbow grease and hand windlass. Now a different style of net is used, hung in reverse to the old customs, the lead line being about 100 foot longer than the cork line. Each crew has two heaving engines, hauling shorelines and net in by power, a seine crew now used 4 boats. 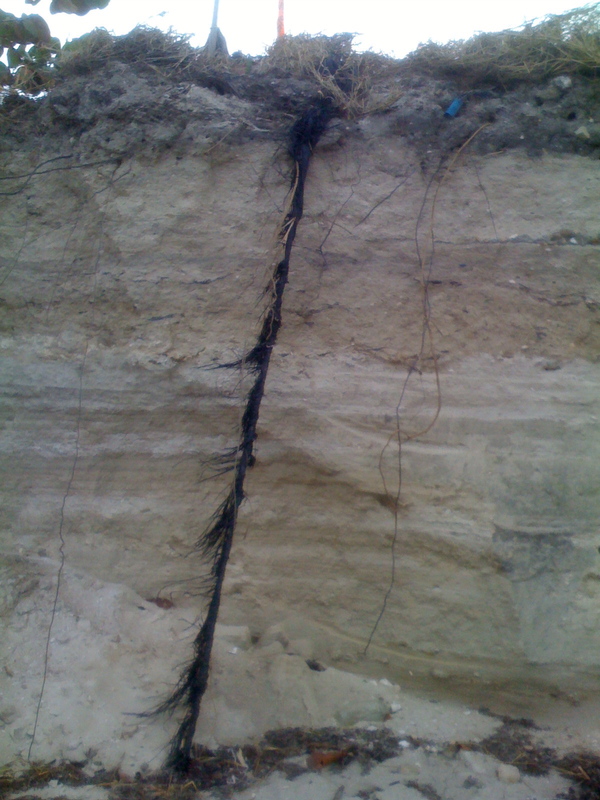 The silt bottom changed the method of hauling. In former years the lead line at all times was ahead of the cork line. Now the lead line, weighted down with about 4 times the amount of lead used in former years, drags many feet behind the cork line. This kind of fishing today seems to be all fun and no work. 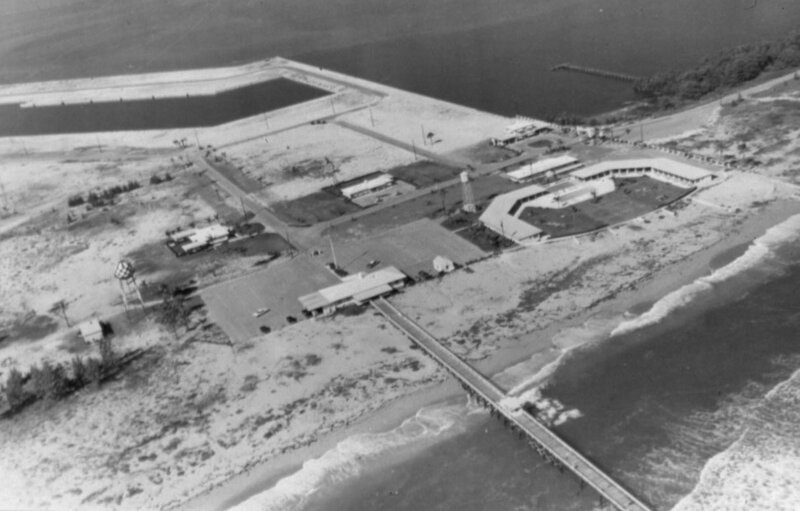 Seining laws have been enacted several time in the past 40 years. Many theories have been advanced pro and con. 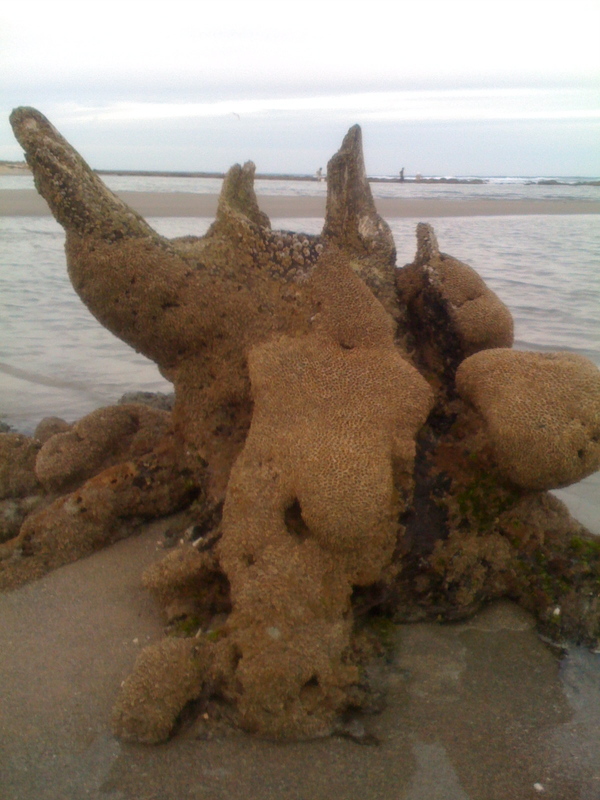 The earliest theory advanced was that seining would catch up all the fish and there would be none left to catch. I twice overheard conversations, when a big seine catch was brought in, a gill-net crew said, “It was no use to set the net that night as the damn seiner had caught all the fish in the river.” Another a few days later where a tourist made nearly the same remark. What a nonsense, what folly! If our river was a closed body of water without ingress or egress to sea, these remarks would have been well founded, but with an inlet at the mouth of our river and more inlets within 20 miles each way, such remarks are more than foolish. 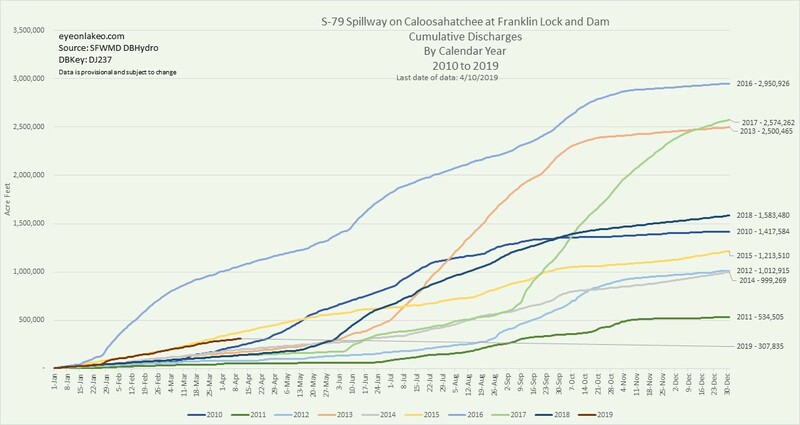 Most of our fish varieties are migrating. Our pompano during a part of the year go as far as Africa, coming in from the sea in small schools on the November quarter moon, followed in December and January. When coming in from the sea, they are lean and silver white in color, within four weeks their bellies show a slight golden hue and in three months the fat set only the rich river-fed pompano shows golden color in two-thirds of their body. Pompano feed on small white-shelled clams. Far back in their mouth they have a “kind of nutcracker” with which they crack the clam shell. By the beginning of June the Pompano show roe. By August they have finished spawning. Blues, mackerel, trout and sheephead go north. Mutton fish and snooks, just as the mullets, go and come, many of them stay the year around. The Jew fish–large kind of bass– seems native, same as flounders. Sailor’s choice used to come in large schools and were regular on the first North Easters in September each year. The Gaff-top sail cat migrates and comes back in January and February. Tarpon come up in June to spawn. The young tarpon stay up river and can be found there in considerable schools. All kinds of fish return from October till March to spawn in our shallows. 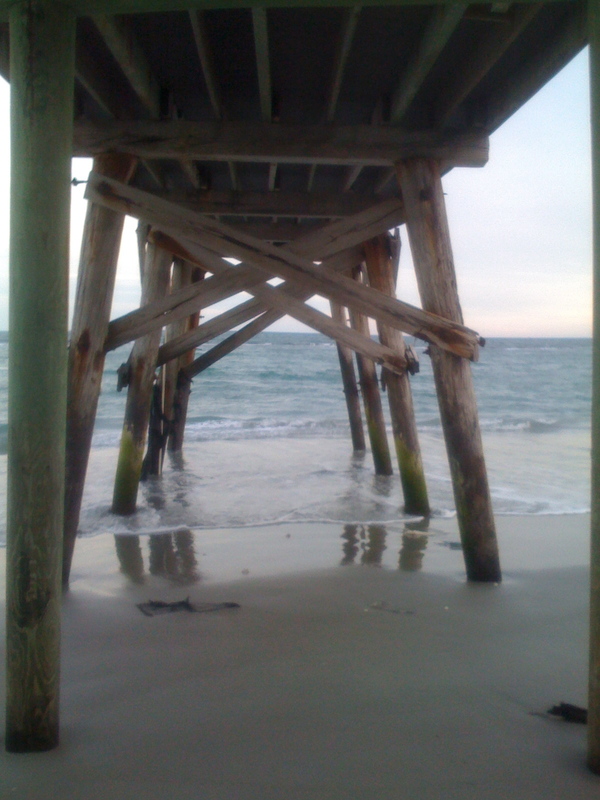 Seining is bringing in considerable amounts of “new” money from out of State. 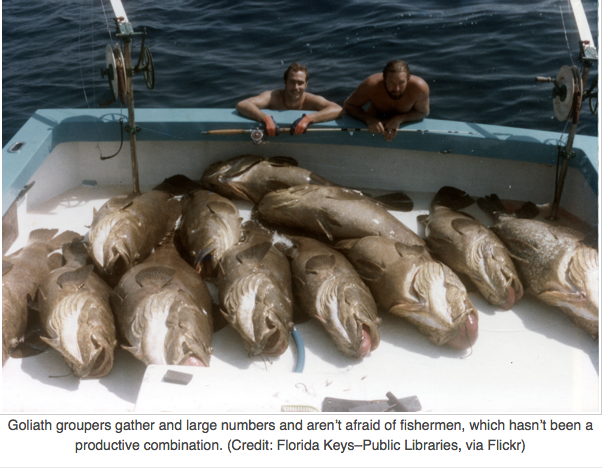 Seines seem to deplete, but at the same time destroys, thousand of game fish that would have devoured near the amounts caught in years to come. Before the war, fish was a staple food for the poor. Now it seems only rich people can eat fish. Two years ago a three pound flounder was brought home cost, cleaned and dressed, ninety-five cents. Well, well, we used to get three cents for a three pound flounder. Have not had anymore flounders at my house since. 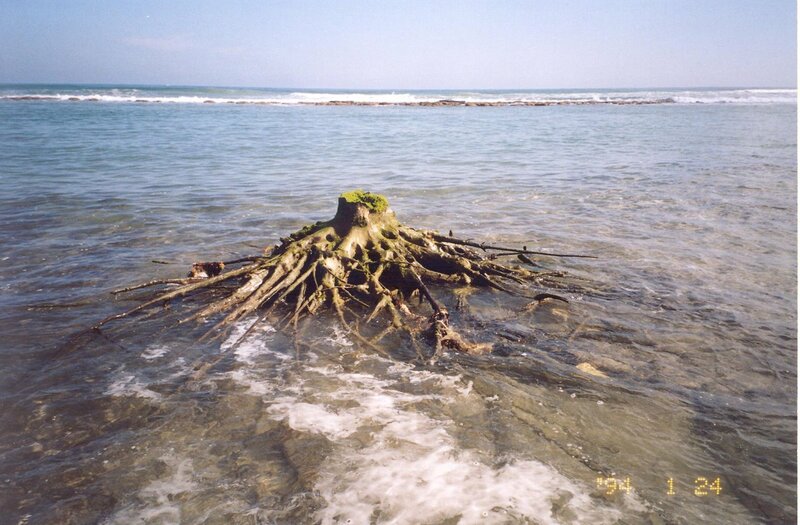 Seining keeps the river bottom clean and free of snags and stranded trees. It helps to mix the spawn dropped by the different varieties of fish. 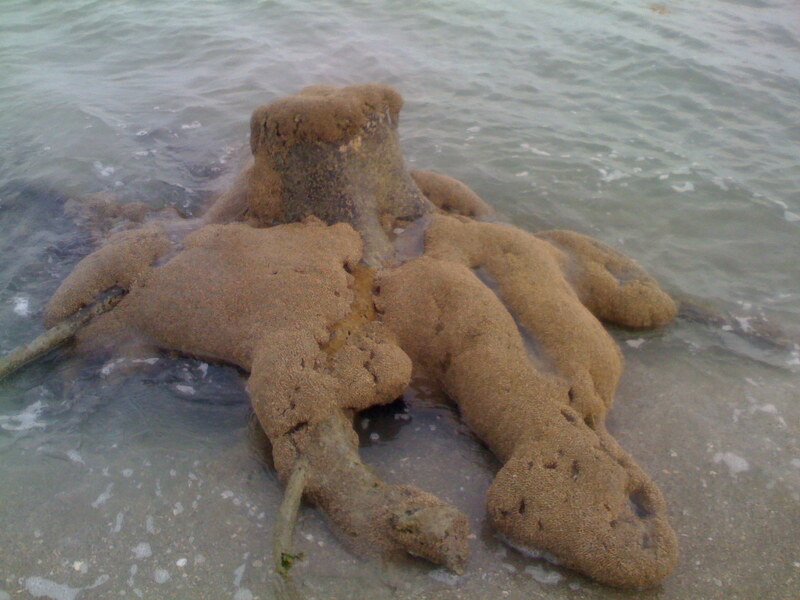 You may know that when fish spawn they go into shallow waters drop their spawn and roil the sand and water, that the commotion will mix the white milky spawn with the yellow roe–fish eggs. The seines hauling over the spawning grounds again stir water and sand and help to fruition much of the spawn that laid there sterile. Of course the haul has to be made within a few hours after the spawning. 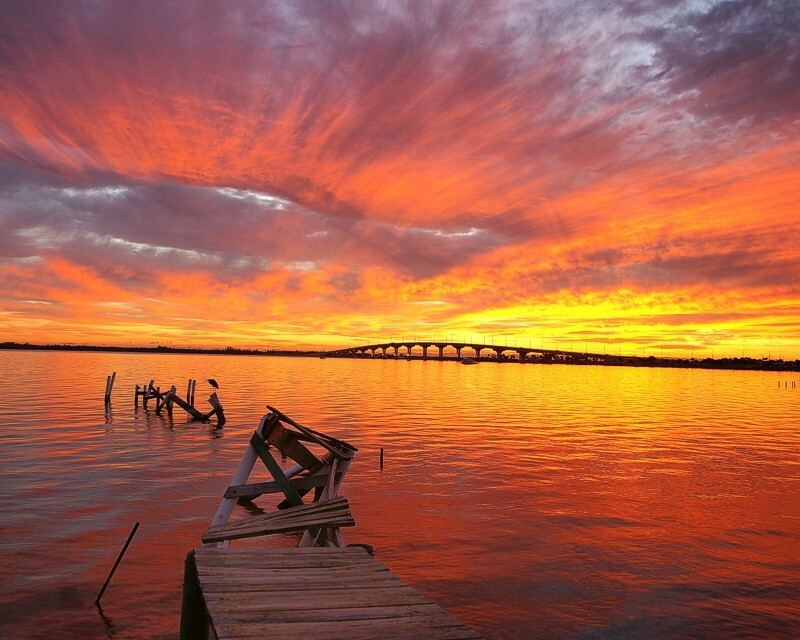 Mullet and Jack fish could be heard for miles over the river in calm nights while spawning. 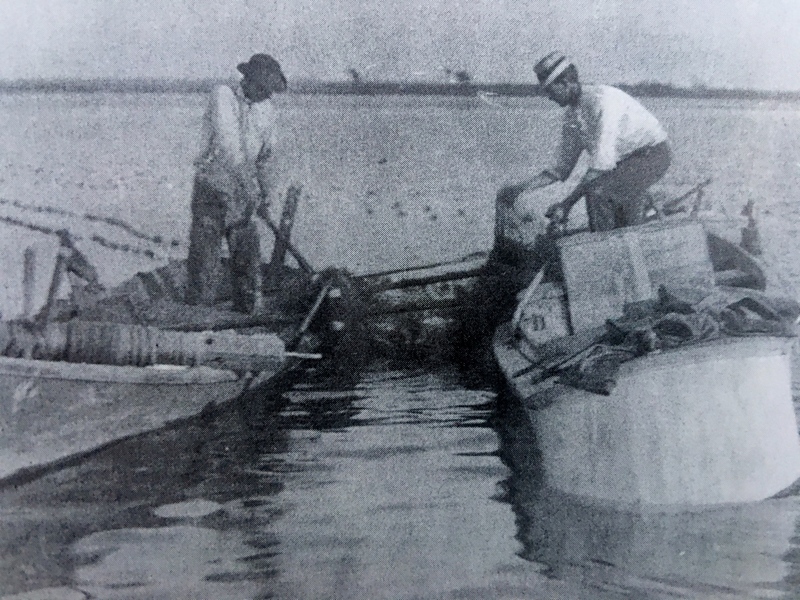 Our first outrage against seining was the custom of the seine crew to ‘bail” the foul fish ashore, in the very early days there were few homes on the river but with the influx of people, more and more homes were built along our shores. Well you have heard of tourists. Have you heard of tourist buzzards? I mean the bird. 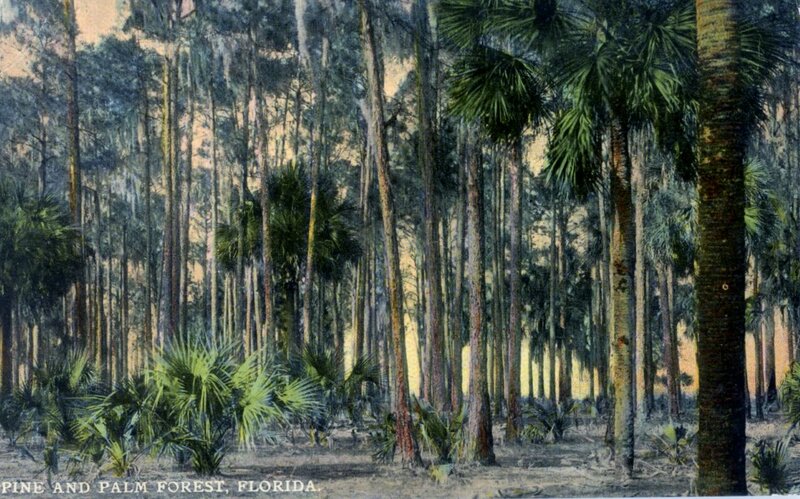 Well, from 1901, for years, there were thousands of buzzards on our and the Indian River. They came in November and left in April. 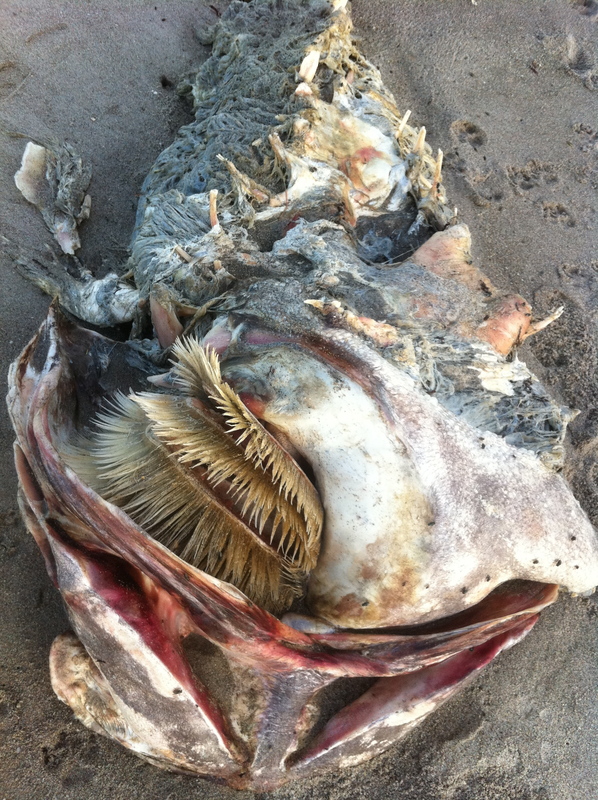 Tons of foul fish were dumped ashore daily. 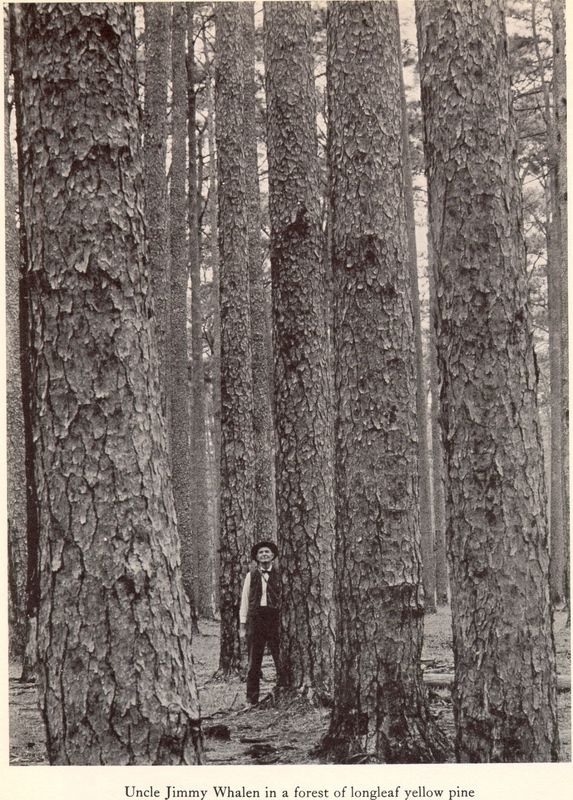 After the seine law in 1909, the buzzards stopped coming. It was common sight to see 100 to 200 buzzards run along the shore in one flock. 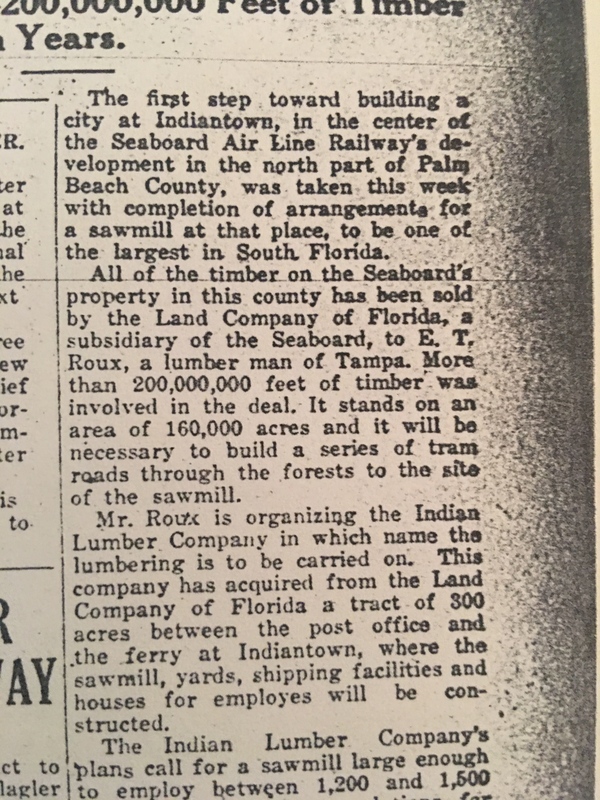 In September 1917, Russian Ed caught a school of sailor’s choice on the Indian River, sold 50,000 pounds and let more than 100,000 pounds rot there, creating a stench that stayed there for many weeks. 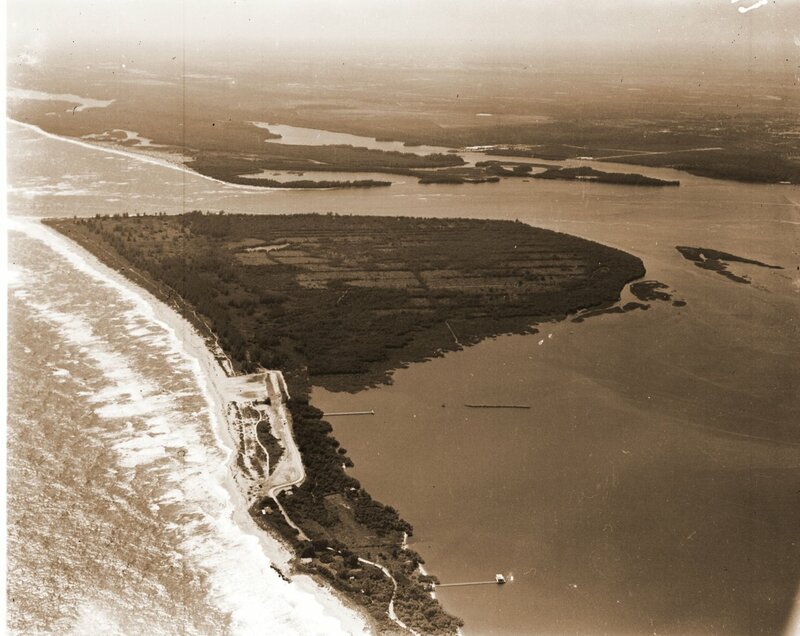 Some of our masons belonging to the Chapter and Commadery at Fort Pierce, used to make weekly runs via Dixie to For Pierce and were near choked traversing that stench zone on the Indian River. We voted seining out that year. The fault that seining has been voted out time and again lies with the fisherman. In the years long ago, it was the dumping of foul fish that raised opposition, later there was “greediness.” by using smaller and smaller mesh in their bunts and pockets. When we started seining, we used four-inch mesh on wings and three and one-half inch mesh in center. Two pound blues, trout and large mullet would gill, or rather “jam” and were caught. One and a half-pound fish would easily go through the mesh, occasionally we had a one and one-half pound trout or blue, bundled up with other fish but these were exceptions. Today with the small mesh, trout, blues mackerel, mullet and other fish are caught that weigh less than one pound. A two pound fish spawns and reproduces, a one pound fish is not developed for spawning and when caught cannot reproduce. Continued practice of this will help to lower reproduction. A sensible seine law should be passed allowing 800 yard seines, prescribing four-inch mesh wings and the bunt of 150 yards to be three and one-half inch mesh. The web hung four inches and three and one-half inches to each two meshes. This would give half grown fish a chance to find its way through the mesh. Any net with smaller mesh should be confiscated for good, burned or destroyed by rock line, so later legal tricks could not restore such net to some mysterious owner. Laws of protection for spawning fish should be set out for each species. Fish are spawning the year around when one species finished another starts, etc. These laws would protect the fishermen and assure him and posterity of plenty of fish. Catching pompano of under one pound (in bygone years they brought one cent per pound) a wise fisherman should return these small pompano to the river as the hauling ashore does little harm to them. 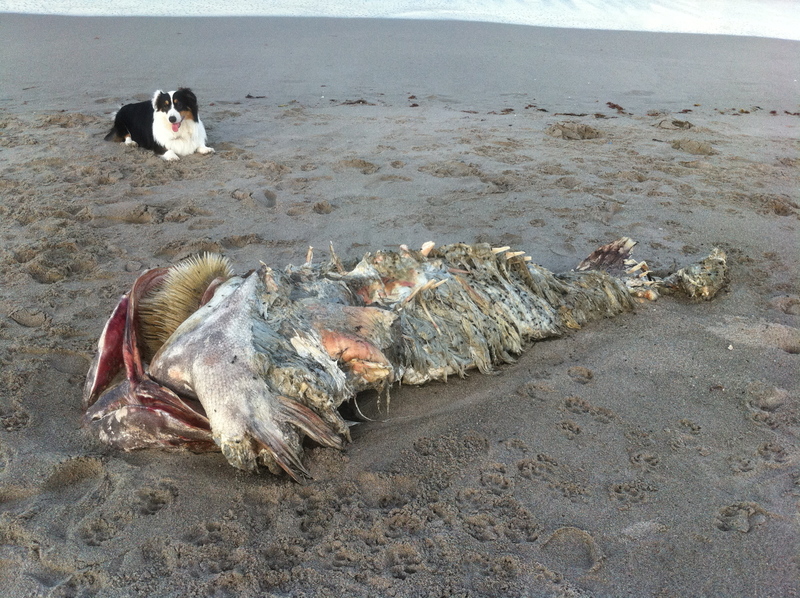 But with the seine law, restrictions should be more stringent about gill nets in the forbidden zone of the inlet. Up to 1901 there were no restrictions about fishing in the or near the Inlet. John Michaelis and self fished partner boats with Captain John Houston and his brother, making our circles just outside the mouth of the inlet. Later when the Houstons returned to Eau Galie we fished with Phil O’Brien, and old Bank fisherman from Glouchester, Massachusetts. We saw after 1901 many a net drift end ways out of the Inlets, forbidden waters, then as today. In the old time we used two sets of ten-foot oars. Now power boats capable of making 20 m. p. h. fish these waters, use their bright spotlights to dazzle the fish and catch them easier than the old-timer ever dreamed of. It is not a common practice to fish the forbidden zone, but believe it is fished. This new power method turns many a fish back into sea, that would have come into the river. 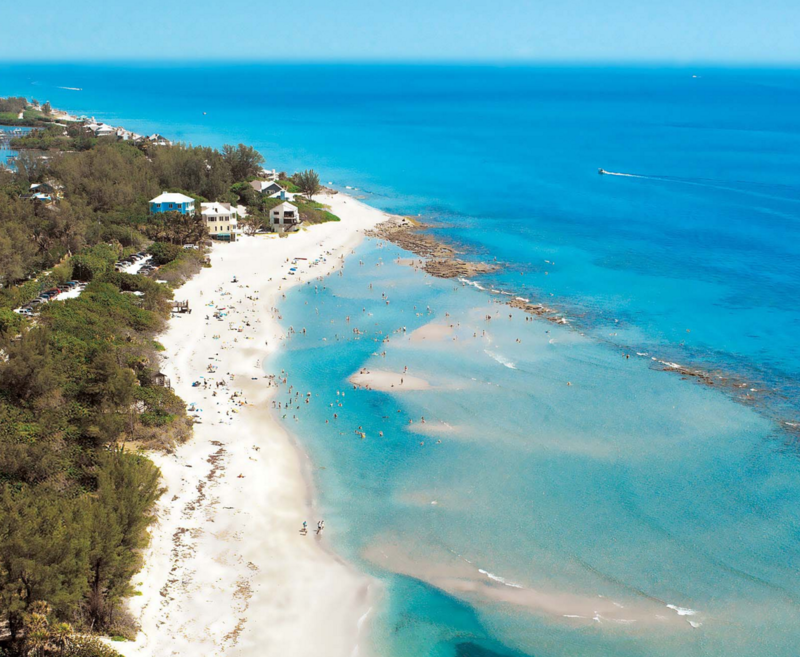 Many of the fish here have different methods to evade capture, mullet and pompano will jump the cork line. A trout, watching the encroachment of the net, will back off, get his underfins busy, fan a hole into the sand, stick his snout into the hole and let the lead-line slip over his head and body. We never made big trout catches in the old days. 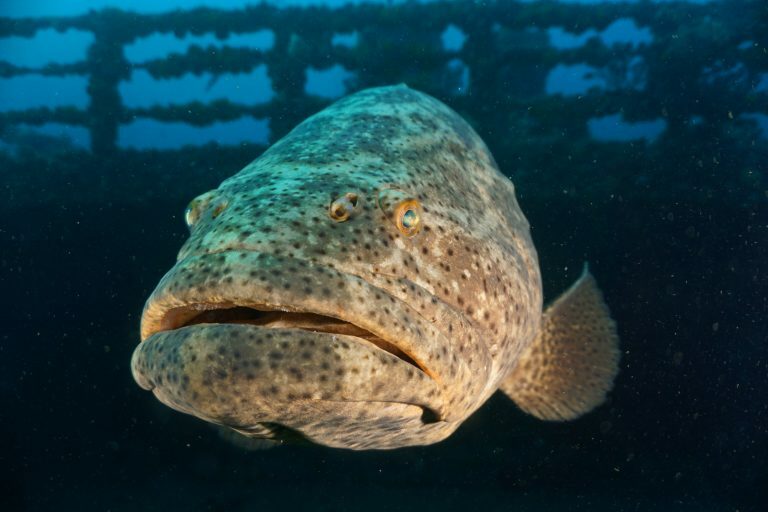 The good old snook will stick his snout into a mesh open his jaws, get his two razor blades, located in front of the gills, busy and cut himself out. A mullet will jump to a light. In the old days it was easy to catch a mess of mullet at night. A lantern sat on the thwart would do the trick, but you sure had to douse the light quickly, as there were more than enough mullet around to sink the boat. Neither seine nor gill nets have diminished our food-fish supply. The disregard, legal or illegal, of catching fish during spawning periods will make our returning schools of fish ever smaller. As stated, the different times, each species of food fish should be protected by stringent Federal laws. We had a state mullet law, trying to protect that fine food fish for about 15 days each year. (Who laughed?) Well, our fine Indian River mullet are few and far between, in the 1890s they came in schools of millions. Seine and gill net fishermen and their dealers should ask for decent laws, including closed seasons of at least 4 weeks for all salt-water food-fish, to protect this great industry that has brought many millions to our state. Get together, there is no use of the pot calling the kettle black.